If you would like to copy your old auditions from WarriorClan, click the links below. Name: Any name can go here, but be mindful. Don't name your characters "Bob" or "Grass". Age: Put the age in years. For immortal beings, insert when they stopped aging and how long they've been alive (eg, 17 years old, lived for 4820 years). Tribe: Any of the tribes listed below, either your character's home or where they normally stay. Species: The species of supernatural that your character is. Some tribes have more than one species. Rank: Choose any ranks listed below, but keep in mind that high ranks need to be reserved. Job: Choose any of the jobs listed below. Appearance: Simply write out how your character looks, including skin color, eye color, hair color, etc. Accessories/Scars: Any jewelry, other accessories, or scars that your character has can go here (OPTIONAL). Weapons: Any weapons your character prefers can go here (OPTIONAL). Personality: The traits of your character go here. Include two positive, two negative, and one neutral trait. This section must be detailed - no lists! Powers: If your character has any powers, you can list them here. The maximum is two. Don't go too overpowered, and make them similar to your character's role (a generally happy and optimistic person shouldn't have shadow powers). Family: Here you can list out your character's mother, father, siblings, children, lover, etc. History: Here you can write out a detailed backstory for your character so you can have something to go off of in the roleplay. Children under the age of 7 don't need a history (OPTIONAL). Notes: If you have any extra notes about your character, like their zodiac, relationship status, etc, this is the place to put it (OPTIONAL). Hunters/Scavengers ; depending on their tribe. scavengers scavenge for food and plants. hunters hunt animals. they train hunter/scavenger apprentices. Fighters ; fighters fight for their tribe and defend it. they train fighter apprentices. Entertainers ; entertainers perform plays, dance, sing and play music. they write books, are artists and everything else to do with the arts. they train entertainer apprentices. Apprentices ; apprentices are teenagers who are being trained to be their chosen role - hunter/scavenger, fighter or entertainer. Mothers ; mothers are females who give birth to young and then raise them. Babies/Children ; these are newborns who are raised by their mothers before they become apprentices. Elders ; elders are the retired members of the tribes. Rogues ; rogues are the outcasts who don't belong to any tribe. Rebels ; rebels are members of the rebellion. Half-Breeds ; these are people who are half supernatural, half human or half of two different supernaturals. they're usually kicked out of the tribe at a young age, after being raised in their mother's tribe (or if the mother is human, a human town). Traders, trade gems, food, liquid and other things to allies for other things in return. Cooks, cook the food for their tribe. Archers, most often hunters or fighters, who are skilled with a bow and arrow. Merchants and Market keepers, the people who sell items to their tribe. Designers, who design clothes, jewellery and other items for their tribe and other tribe allies. Guards/Soldiers, fighters only, who guard and protect the royal family. Mentor, teaches apprentices about things. Usually 1 or 2 per apprentice. Gatherers, who find the items to trade. Please tell me more if you think of them! appearance. trudel is quite tall and takes pride in it. her legs are long, and her hips are high. she has a rather athletic, and lean body. trudel's hair is a striking platinum blonde/white, although quite common in the caelum tribe. she has soft facial features; a small nose, small, but thick lips, and soft, round, blue eyes. her wings are average sized, white, but with the accompanied golden streaks that are carried by the royal family. accessories/scars. in her formal wear around the castle, trudel almost always is draped in gold jewelry. 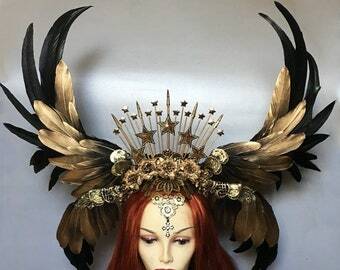 her wings, forehead, and shoulders have golden chains. 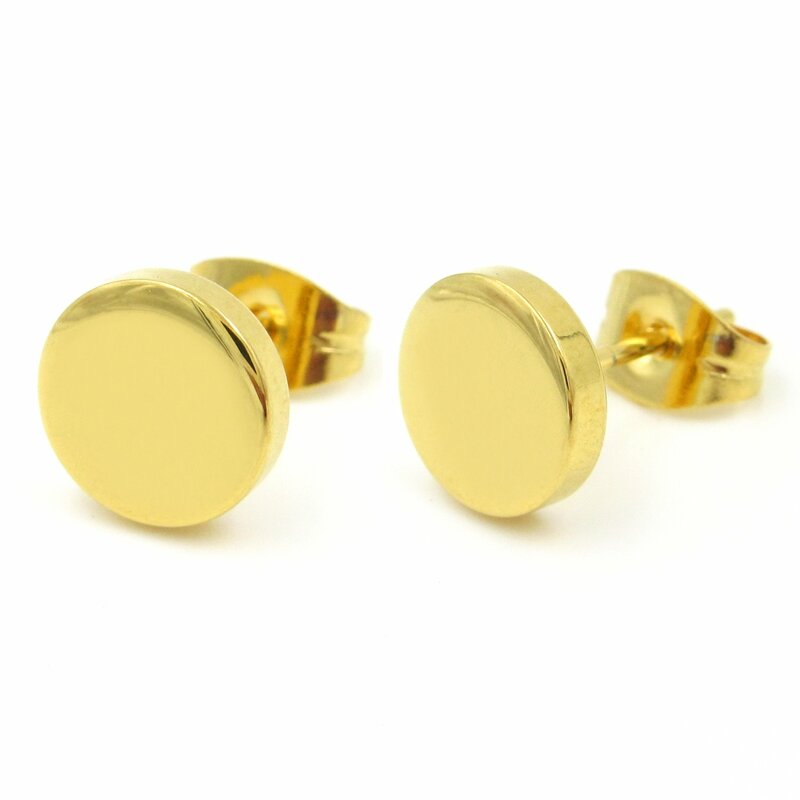 she wears usually dangling, long golden earrings, accompanied with matching rings. trudel usually only wears a single silver clasp bracelet on her upper arm, signifying her position as deputy/second-in-command. however, when in battle most of her jewelry is not brought with her. because of trudel's obsession with beauty, she often heals or does whatever is needed to rid of scars from battle. 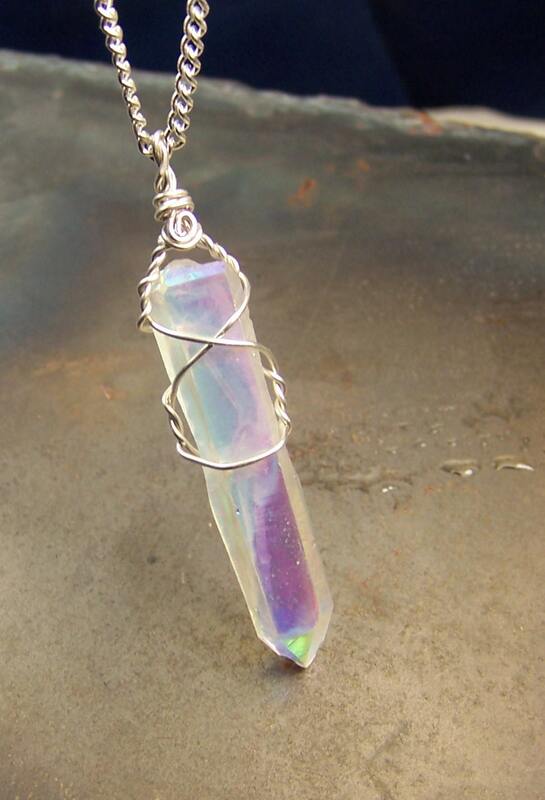 she only has one she was not able to heal, which was given to her by a demon in the past war, located on her shoulder. personality. a self-centered, and appearance-obsessed deputy, trudel can come across as insane at times. (runs in the family i guess!) she'll do almost anything if there is one she envies to get what she wants. trudel is a narcissist, although still has knowledge so she's not entirely mad. she appears hungry for battle as well, but her strategies never fail her. besides these negative aspects, trudel is intelligent, has very good leadership skills, and can be quite the loyal warrior, or even friend. powers. 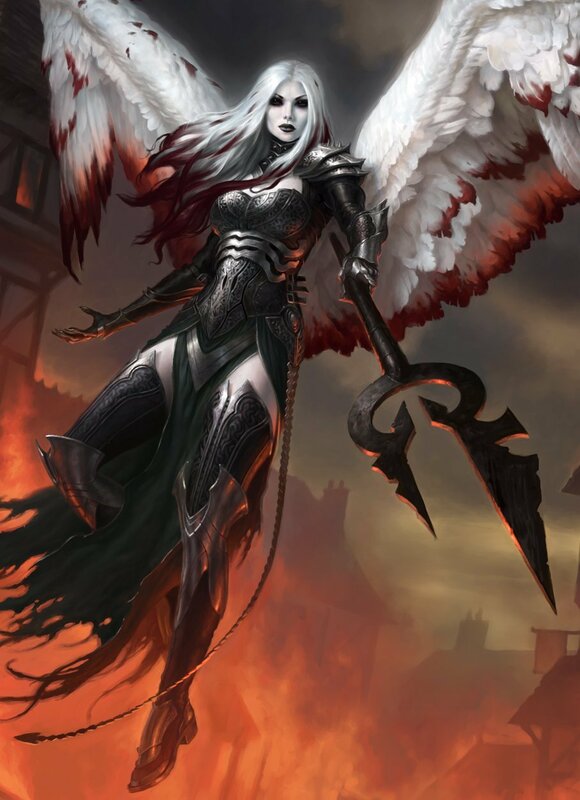 none, she is a pureblood angel so the only ability she has is flight and perhaps enhanced human skills and strengths. family. 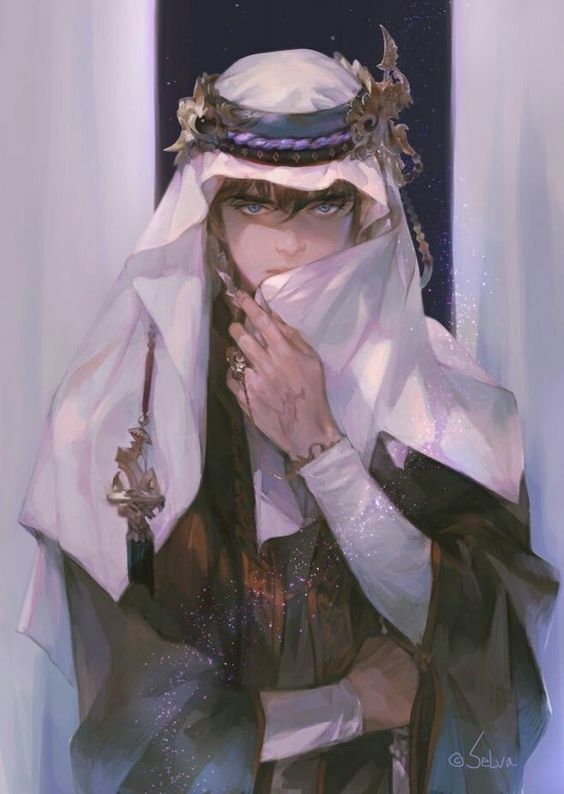 trundel's father, king abir, the previous leader of the caelum tribe who lead in the battles against the demons in the past war, died from a mysterious illness. being of old age, he was too weak to fight it. her mother, queen valyn, who lead on alone once her husband died, was killed by trudel herself. trudel never had any siblings, although she had one half-sister named balere. balere is still alive, but banished, and known as ebony during this time. history. trudel was born to king abir, and queen valyn. growing up, she was taught at a young age to fight. she was given a lot of attention, and had it set in her mind she wanted to do exactly what her father was doing. to lead, and conquer. this caused trudel to become very self-centered as she grew older. her mother noticed and tried to correct her, but trudel only grew irritated and ignored her. once the war with the demons began, trudel was still a teen in angel years. however, despite her parents telling her to stay away from the battling, she snuck into one. in the rough, but exciting fight for trudel, she was given a deep scar on her shoulder by a demon's blade. by the time the healers tried everything they could to get rid of it, it still remained, although the infection was gone. this gave her a reminder of the day she fought the demons and half-bloods, growing a burning rage and passion throughout her to defeat every one of them without mercy. after the war ended, her father seemed to grow weaker. he caught on to a mysterious illness because of his weak immune system. the healers tried all they could, but they did not seem to hold the cure. king abir passed away. queen valyn took the throne and seemed to change things from the way king abir had ruled. trudel despised this and only thought of her mother as weak. she seemed to only want peace, and trudel one day discovered valyn's reason why. she had a secret affair with an elementalist visiting the tribe. trudel was filled with the rage but chose to stay quiet until the time was right. her mother soon enough stopped seeing the man, but months later, she had a daughter. trudel suspected it was from the elementalist, but her mother knew better and faked a marriage with a high commander in the angel's army. trudel brushed it off, seeing as the child looked like any regular angel. balere, her half-sister often fought with trudel because of their arguing over who would become the next leader. they both noticed their naive mother growing weaker not only physically, but also emotionally. she was not fit to rule anymore. trudel during this time found out about balere's secret, her dark magic. she was a half-breed. this was the last straw for trudel's patience with her mother. not only had she turned the once strong tribe into one that matches with a weak neutral tribe, but also was supporting half-breeds. how could she? after all the years they fought to kill them off. trudel made a plan to kill her mother, which she dueled her. knowing her mother was still a powerful angel, she poisoned her twin blades and killed her mother with only the slightest hit. although trudel had won the challenge, the angels did not want to go with the traditional way of deciding the leader. instead, they wanted to hold a vote, and another angel/valkyrie won, becoming the next leader. trudel could do nothing because of her people's choice, and gladly accepted the role of the deputy, vowing to become the next leader. she banished her sister right away and gave her mercy because of wanting to build a better reputation with her citizens. trudel warned her she would have killed her, and if she steps foot into the caelum kingdom once again, she would not see daylight again. extra notes. not really, besides her being open with relationships too! appearance. zaria has average height, with a longer torso than legs, with short hips. she has a more pear shaped body (she thicc ljdldsjkd), with pale green tinted skin. her hair is just over her shoulders, and a very vibrant green color as well. branches grow out of her head, resembling antlers in a way with leaves and occasional smaller flowers growing on her hair. 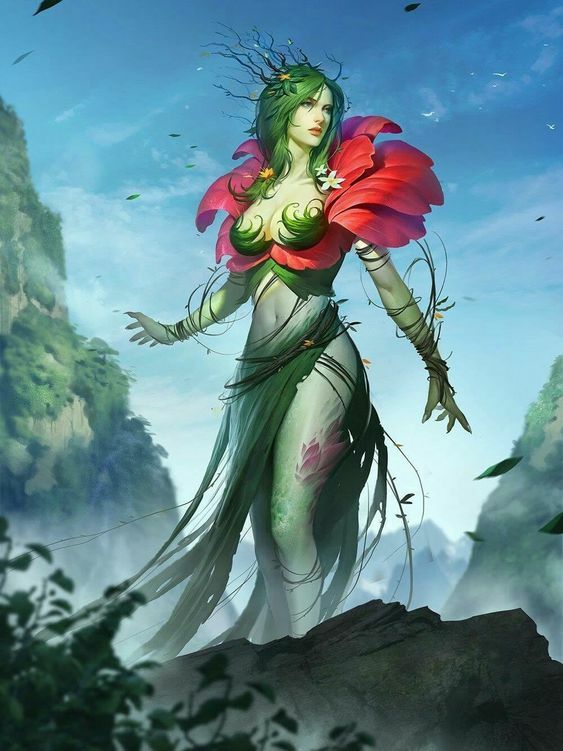 vines and leaves wrap around her body, with soft pink petals sprouting around her shoulders. zaria also has green flecks on her skin, which she calls her "plant birthmarks". her eyebrows and eyes are narrow and can give off an intense look sometimes, although zaria herself is the opposite. her lips are average, with a pale orange-pink hue. zaria's nose is straight, and often pink at the tip. she has quite sharper facial features. accessories/scars. zaria wears only a crystal stone necklace, as well as some flower bracelets and strings wrapped around her waist and arms. she has no scars, for she has not been in a full-on battle before, or a dangerous fight. personality. zaria is a quiet, and soft-spoken plant-person. she's not shy, or anxious, only thinks before she wants to voice her opinions. as a hunter, it's very useful, and despite her gentleness, she is a quick-thinker, and very intelligent. zaria is often sought after for advice or just an open ear to talk to. she'll listen to whatever is needed and empathize with that person. her kindness and generosity make her a great friend. however, she does not trust easily and can be rather sensitive. she hates being ignored, and when she speaks, she's gone over it in her head beforehand, so she expects people to listen and consider. powers. ability to sense vibrations in the ground, and hear very well. she can manipulate vines to grow and move for her, although it takes lots of concentration and energy. she is able to control her abilities best in the sunlight, like most plants. family. zaria's mother is named acantha, her father's name is rayko, and both are still alive. acantha is a designer, and rayko is a fighter. zaria has two siblings, one sister named indigo, and one brother named allyn. history. 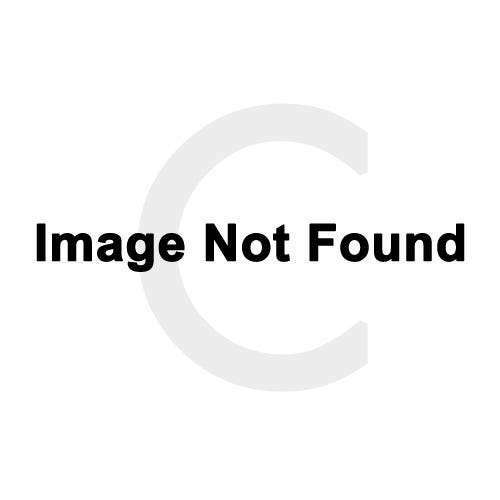 zaria had a pretty basic life growing up. acantha taught zaria creativity, while rayko taught her strategy. putting these two together, she chose to train as a hunter. luckily, zaria earned the position of headhunter because of her quick thinking and strategizing. she often spends time with her siblings indigo, and allyn, and hopes to mentor her apprentice well. weapons. zaria does not usually need any weapons because of her ability to control vines. however, since this power takes concentration and energy up, she brings throwing daggers along with her in a pouch around her waist. appearance ; sigrun is pale, with long hair and sharp eyes. unlike most valkyries, she has dark hair - an inky black, in comparison to light and gold. her eyes are a dark brown, and in the sun they have a golden shimmer to them. her feathered wings are a light brown, getting darker as they near her body. accessories/scars ; sigrun always wears a metallic silver band around her forehead, and a magic leather belt around her waist that can hold an unlimited amount of weapons - she just has to picture the weapon and it will appear. she doesn't let her scars heal, using them as a reminder of her battles and so she always has a story to tell. some of her main scars are a stab wound on both sides of her forearm where a knife went through, and multiple crossed lines on her palm from every time she's sworn a blood oath. weapons ; while sigrun has trained with every weapon she can imagine, she holds a special place in her heart for her five swords. she can use two at once, or just one, and they're all silver and decorated to her liking. all of them were made by her partner before she died. personality ; sigrun is rather aggressive. she's good at battle strategy and fighting, but any young children honestly scare her slightly. they confuse her. she takes the time to know all her soldiers, and always remembers their names and family. she wouldn't call herself an alcoholic specifically, but she does enjoy going to valhalla hall for a drink with her friends and soldiers. 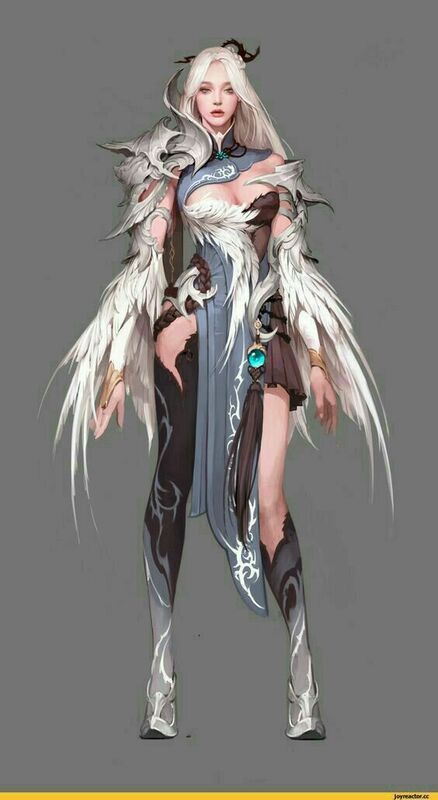 powers ; as a pureblood valkyrie, she only has their original powers - to see who's dying in battle at any moment, the power of flight with her wings and the natural skill at fighting. however, her natural fighting skill is boosted to a higher level because of how powerful her mother is. she also has her magic belt, where she can summon any weapon she has ever put in there. family ; sigrun's mother is brunhildr, the first valkyrie. her father was an unknown human who she's never met or really thought about. she never had any siblings. her partner, gol, was killed when the valkyrie tribe was massacred. history ; sigrun was born to brunhildr, the first valkyrie, and the previous leader of the tribe. she was raised as a warrior, and with the expectations to be the next leader of the valkyrie tribe. her life in the valkyrie tribe was mostly uneventful. she was apprenticed to a fighter, one of the best, and she trained and she trained until she became the deputy and was named lady sigrun brunhildsdottir. she found her partner, gol, when the hunter accidentally ran into her. the two immediately clicked, and when gol was working as a blacksmith she gifted sigrun with five swords, each decorated differently. when the rogue angel attacked, she originally she joined the fight against the angels. around the beginning, though, they formed an alliance with the angels at sigrun's request. then that war ended, and for a while it was peaceful. then the slaughter happened. when they attacked from out of nowhere, brunhildr and sigrun fought back to back, trying to defend their tribe. it didn't work, and over 50% of the valkyries were wiped out - including gol. so when tribes started merging, sigrun suggested joining the angels. the merge went well, even if it was slightly weird to be with angels as well as valkyries, and because the angel leader survived, brunhildr retired to become a normal warrior. sigrun was offered the position of head fighter. so she became lady sigrun brunhildsdottir of the caelum tribe, and is still keeping with her goal to know every soldier and their families by name. extra notes ; a funky bi. she's still not over gol, though. 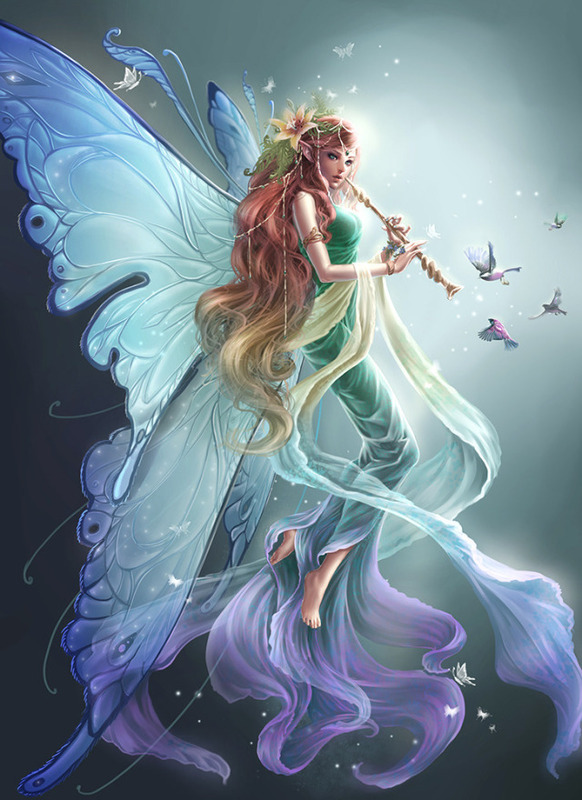 appearance: clover is a pale-skinned fairy with long, flowing blonde hair. she has caught so many dreams, especially nightmares, so one day when she caught a nightmare as an apprentice it got caught in her hair and turned most of it red. she is also a gardener so she holds a small portion of her hair in a bun, sealing it with some leaves and a beautiful rose. she has stunning blue butterfly-like wings. a pair of dazzling blue-green eyes sits upon her curved face. accessories and scars: clover wears a long, stunning multi-coloured cloak with parts of dreams tinted on the edges, sending sparkles through a fair circle of where she is standing. she has a bronze bracelet on her left arm, and two blue flowers entwined around her fingers on both hands. she also has a silver ring on her right index finger. she has only a single scar on the heel of her right foot, from when she was a child frolicking barefoot through the gardens. weapons: clover is not a big fan of using weapons, but she will if she must. she always carries a golden-brown flute, and although it also plays astonishing tunes for events in which she must entertain guests with music, it can also shoot out silver bullets from each of it's holes. powers: like all fairies, clover can fly and catch dreams. however, she also has the ability to speak to animals, which is how she communicates with her companion, arizona. personality: clover is a very caring, loving fairy. she has a great sense of fashion and is always on the run for catching dreams or finding flowers for her potions, dresses, crowns, and more. she has a fun companion named arizona, a deer that she sleeps with. the deer is as strong as a horse, however, and clover often rides arizona when she is on the hunt for flowers and such. other than that she performs most tasks on her own, since deer have their own business in the forest as well. clover is merciful and will only kill if she must. she is very loyal to her job as the head entertainer, although sometimes wonders what could have been if she took the path to a healer. clover is hard-working and could continue chasing a dream for at least a day. past: clover grew up with a big family. she had parents who were entertainers, always gearing up in shining bronze armor to humour the queen. they were paid well, however, and when they weren't working they would help clover and her growing business as a musician for the briongloid kingdom. her sisters larisa and pandora were always gossiping and spreading rumours about clover, but cybela, icos, and clover always stuck together. the three were inseparable. they often chased dreams together, until they took on different dreams of their own. cybela became a scavenger, icos a fighter, and clover was actually a healer apprentice for a short time. she realized she had always wished to be a musician, so she halted her position and became an apprentice to the head entertainer until her dream finally came true, and the queen appointed her to entertain at almost every social event so far. other: whenever she has free time, clover likes to help the designers with the fashion business of the briongloid tribe. she decorated many rooms in the kingdom, including her own and her families. appearance ; mab is short, even in her human-sized form, and she has long brown hair with lighter highlights. emerald eyes the same colour as her wings. she has a narrowed face and thin eyebrows. her wings glow green, a symbol of her power. her pale skin tans easily, and her eyes are narrowed. 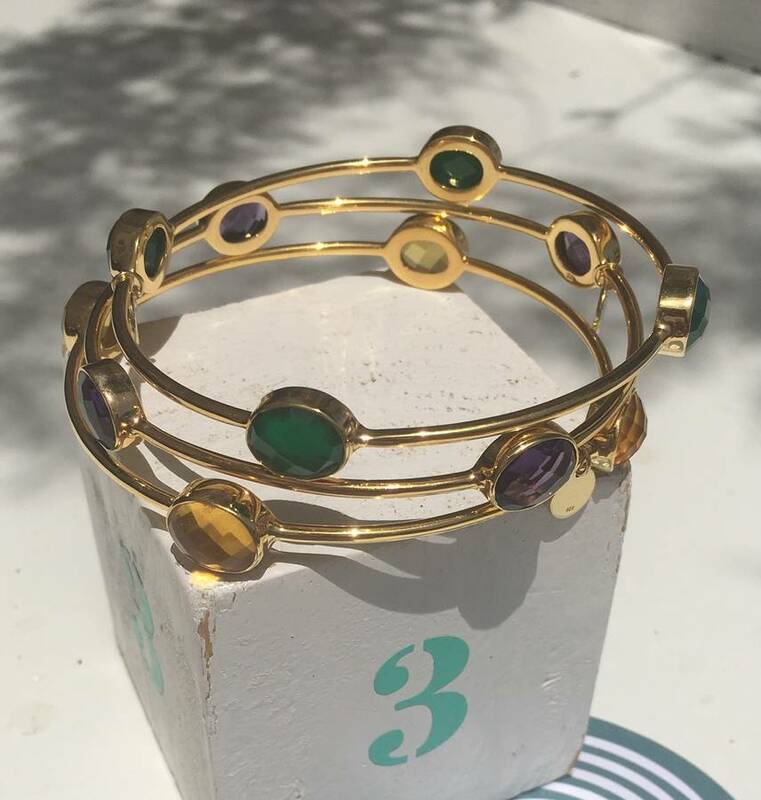 accessories/scars ; mab usually wears a small green and gold tiara to show her position as the [king/queen]'s daughter. 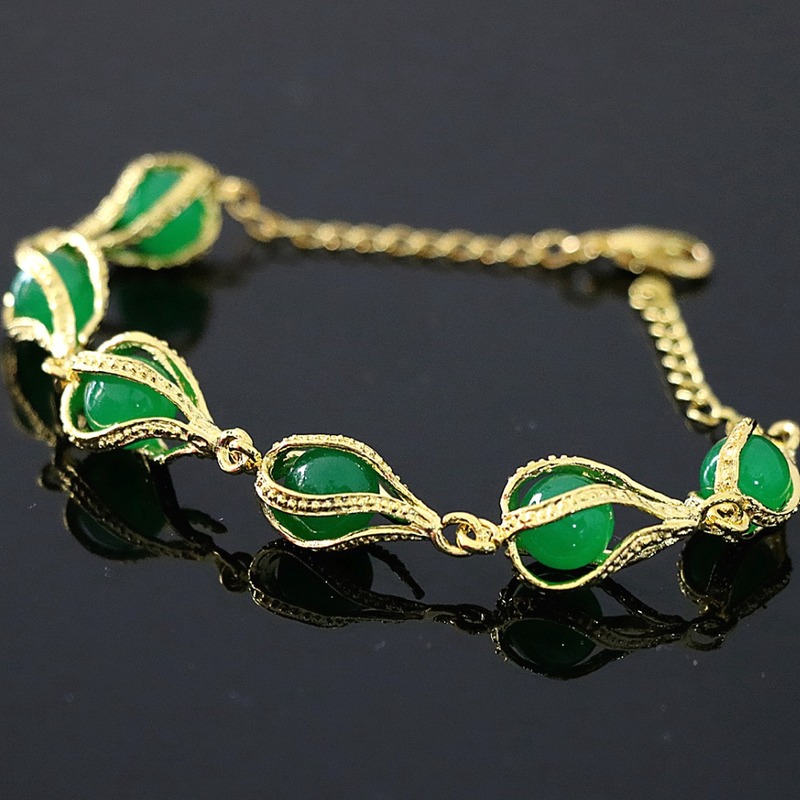 she also wears a lot of green and gold jewellery, including three necklaces (1, 2 and 3), earrings, two anklets (1 and 2) and multiple bracelets (e.g. 1 and 2). she has some scars from poison-related blisters around her right wrist, and two scars on her shoulder where a snake bit her. weapons ; mab doesn't use weapons as much as she uses poisons. she's become a master at mixing various poisons, in both liquids and gases, and can easily incapacitate or kill someone. when she does need to use a weapon, though, she uses a longbow with poison-tipped arrows. personality ; mab is... slightly sociopathic at times. she delivers out what she believes to be fair punishment to those who deserve it, and isn't that merciful. however, when she's not poisoning enemies of her tribe, she's a relatively fun person to be around. she's kind to her friends and loves her tribe. still young for a fairy, mab is very strong already. she's quite vain and pretty sassy, and knows how to manipulate others. powers ; like all fairies, mab can fly and catch dreams. unlike most fairies, she has another power - the ability to poison. she's immune to poisons, she can detect them and she's got a natural skill at creating them (which has been honed and enhanced). family ; her mother and father are the leader of the briongloid tribe and their partner, and her siblings are any other princes or princesses. history ; mab was born during the peace between the tribes. 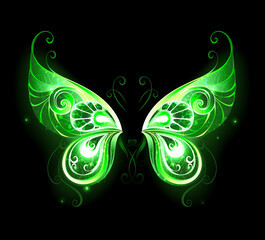 it was obvious only a few days after she was born that she was special, especially when her wings started glowing green. when she was about 3 or 4, she found a poisonous snake in the nursery where she was staying. it bit her, but she wasn't bitten. as she grew, it was discovered that she was immune to poisons after she attracted nearly everything poisonous to her. when she was old enough, she was apprenticed to a retired healer. instead of learning about herbs, however, she was taught about poisons - and what the healer didn't know, she worked out for herself. she used the prisoners of the tribe as her test subjects and lied about knowing anything about how they'd died or been injured. then, when her mother's drink was poisoned, she knew immediately and knocked the glass off the table. when the remaining liquid was inspected, it was discovered that it would have killed her. after she'd learned about poisons, she became an interrogator for the tribe. when she doesn't do that, she catches dreams with other fairies. appearance. freja is fair-skinned mermaid, with a rather skinnier, and smaller build than usual. she has a delicate face, with thick but small eyebrows, a small round nose, and small, thick round lips. her eyes are a sky blue. freja also has silver markings on her forehead, arms, and her neck, signifying her role as a healer. her hair is long, and silky, as well as a soft blue color, darker at the roots. freja's tail matches the color of her eyes, although it is darker at the top, then fading into a crystal-blue, and finally tipped white at the end of her fins. she has fins on her elbows, back, and behind her ears, all matching her tail's colors. accessories/scars. freja has no scars, although she does have accessories as do many mermaids. her forehead is covered with a golden crown/band with a jewel in the middle, although she only wears it during her healing training or if in the presence of royalty. she also wears golden necklaces connected together. personality. freja is what you call shy when you come across her at first. she seems afraid of other mermaids, especially sirens. around her sister species, she will most likely stumble on her words. freja has a problem overthinking and worrying about even the smallest things. however, she's very kind-hearted and soft. inside, she's truly lonely and blames her anxiousness on not being able to solve that problem. being a healer apprentice, she doesn't like the attention much but loves helping others. powers. freja has super speed, but only in the water. 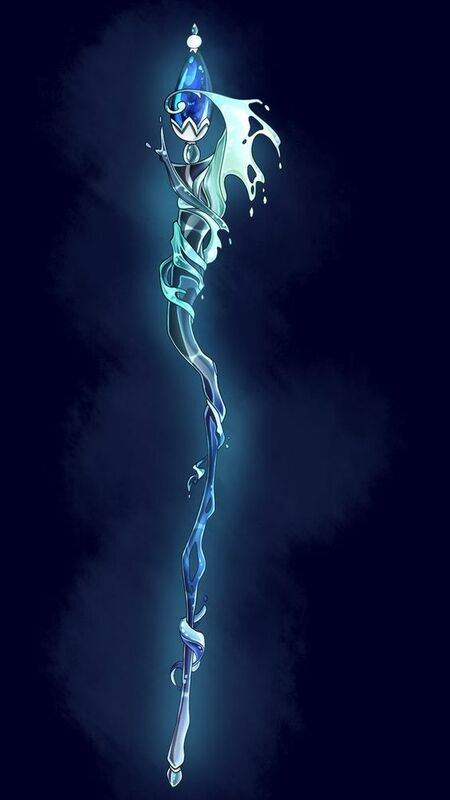 she also has the power to use water to heal, given to her by the gemstone on her staff. without it, she isn't able to use it as well. family. her mother, named ida, and her father, named malthe (a guard) had a daughter, and then a son before freja. those two siblings are her eldest sister named clara, who is a designer, and her second eldest brother named emil, who is a merchant apprentice. all are alive. history. freja was born during a time of peace in the mermaid tribe. the sirens and the mermaids put aside their differences and joined together as one tribe because of the attacks aiming them each. together, they were stronger. however, even though freja grew up with the sirens, she is afraid of them. this is because many bullied her in school for being weak and wanting to become a healer. even though at one point she gave in and agreed with them, she could never become a fighter like them. once the age of an apprentice, her sister clara, and brother emil, both urged her to follow her heart. so, freja took up the healer apprentice spot, ignoring her bullies. now, she trains to be able to use her healing powers well, especially in a time where the zali tribe is fighting alongside the caelum and briongloid tribes. appearance: achelois is a pale-skinned woman with dark blue-green eyes and long cocoa brown hair. she often keeps her hair down to keep a natural look. her ears are long and elf-like. she moves with grace and carries herself with pride, her thin frame and small feet causing barely any noise as she walks. 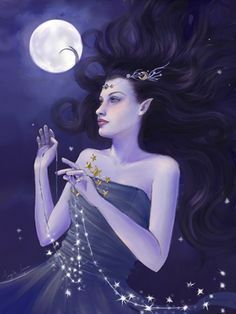 accessories and scars: achelois doesn't like jewelry too much, but she does adorn herself with a few different objects that connect her to spiritually to the moon, such as her necklace of stars and headdress. achelois has a single scar across her neck, but it's barely noticeable. 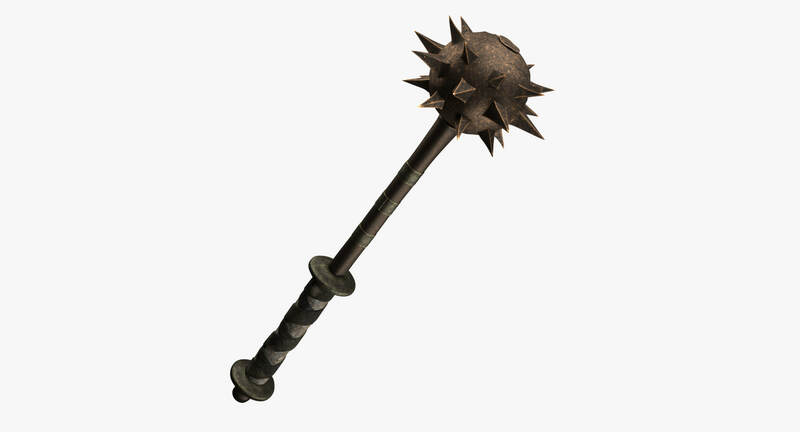 weapons: achelois always carries a dagger in her belt and two throwing stars. powers: ever noticed that the full moon looks like an aspirin? achelois has the normal powers of any goddess, but along with that she can easily heal wounds on herself or others, and can cure most aches. personality: achelois is a very calm and collected woman, and almost no bad news could ever bring her down or make her panic. she's very emotionless and is often the one to stray away from the tribe to have time to herself. achelois is encouraging without instilling false hope or confidence. she won't lie, but she is good at looking at things from alternate perspectives and finding forms of progress anyway. she has a good listening ear, although sometimes she pushes for more information than those who confide in her wish to give. past: achelois was born a moon goddess, which wasn't too uncommon. her mother raised her until she became a full healer, pushing her independence and knowledge. she never had a father figure, and she was too young to really understand and ask about him. until one day, before her full healer ceremony, the qua's dodonian oracle ordered sacrifice to her. according to the leader, achelois was one of the seven muses said to be the daughter of pierus. the oracle was devoted to the mother goddess who created all the tribes, named gaia. achelois's mother encouraged her to go along with the sacrifice, where she would sign her name in a sacred book and pledge herself to the oracle and mother goddess. however, achelois knew this practice was illegal, and was not something gaia would have wanted. her and her siblings hoped to destroy the oracle and bring peace to qua once more. achelois's brother eventually went insane, taking their plan to an extreme and murdering their mother. achelois tried to calm him, but it was of no use. he had gone completely rampant, and after luring the majority of the oracle to a secluded area, he stayed with them. achelois never found out what he had done, whether he killed them all or protected them. some days achelois wonders who pierus really is, and how she can meet him. 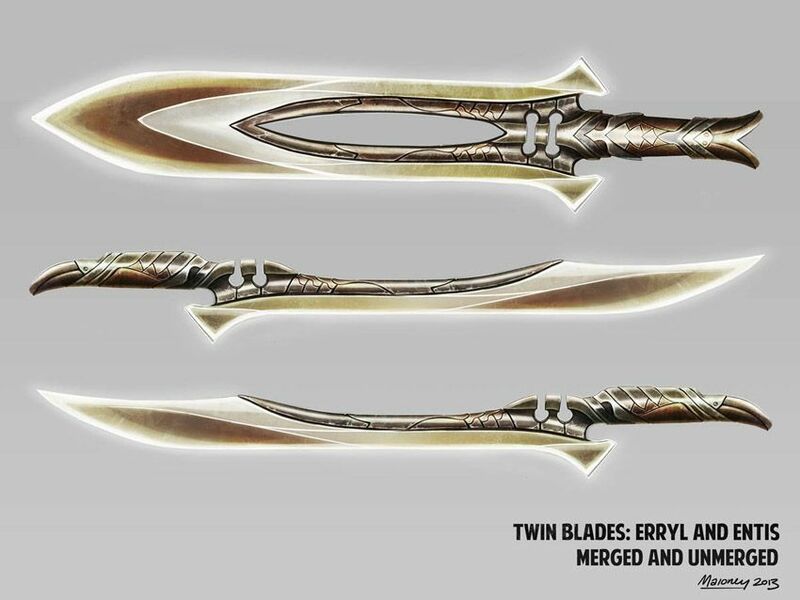 other: achelois has a few siblings open to be made. appearance. artemis has dusky, dark and faded blue hair. it's a sort of dark blue mixed with stormy gray. her skin follows this concept, being a sort of dull stormy gray color. although, when in human grounds, she can change to her human look, which is with black hair, and pale skin. her eyes are usually crystal blue, but in her true goddess form they light up a pale, bright blue. along with this, she has an upside-down moon crescent symbol on her forehead which also lights up in her goddess form. artemis also has pale blue, almost white markings on her face. (see profile above for reference.) artemis's body is an athletic type lean muscular, and an average height (not in her goddess form). she also has small, but slightly pointed ears, thin-ish/average lips, and a small, slightly upturned button nose. accessories/scars. artemis has a few scars, one on her right jawline, and one on her collarbone. her accessories vary based on which form she is in. her human form, she wears golden jewelry, although not too much. in her goddess form, she wears several pieces of silver jewelry. dangly earrings, layers of necklaces (including a moon one), two silver bands on her forearms, small silver bands in her hair, and silver jewelry hanging around her head/hair. one of her aspects, not so much an accessory but still important, that stands out are her glowing, bright blue horns wrapping around her head, signifying her duty as goddess of the hunt and headhunter of the tribe. personality. artemis is very cunning, and an intelligent goddess. she is known to be introverted, and often reserved, so she usually thinks things through in her head rather than speak out loud and converse with others. adding on to this trait, artemis is independent as well. she likes to do things on her own without needing to wait for another. despite her introverted side, she is still adventurous and loves exploring around during her free time. she prefers solitude and is very practical, and realistic. powers. artemis is immortal, although she can be killed, she has the ability to revive from death (after a period of time). she also has enhanced human abilities, and senses. 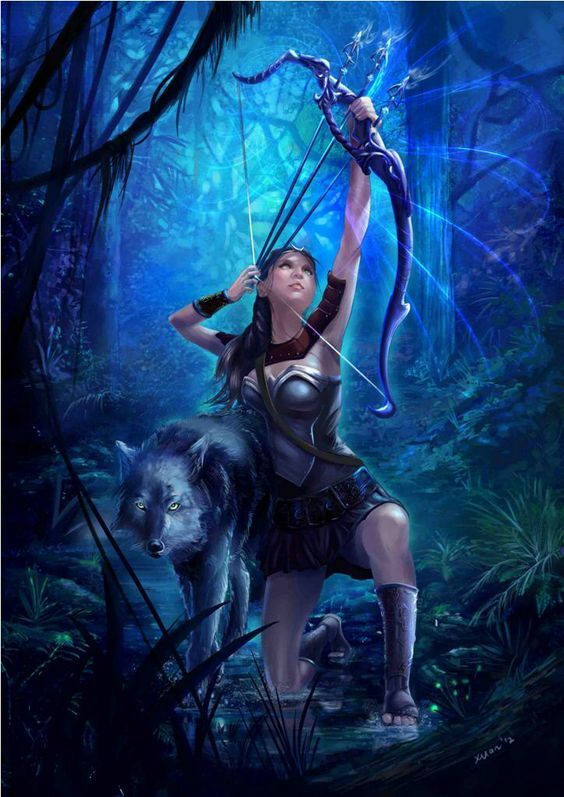 artemis has the ability to communicate with animals and to heal. family. her parents are zues and leto. her twin brother is apollo. history. search up artemis's lore! too much to add haha. extra notes. goddess of the hunt, moon, chastity. also associated with nature, and childbirth. so she loves kids and animals! she is open to mentor, but not open for any romantic relationships. appearance. 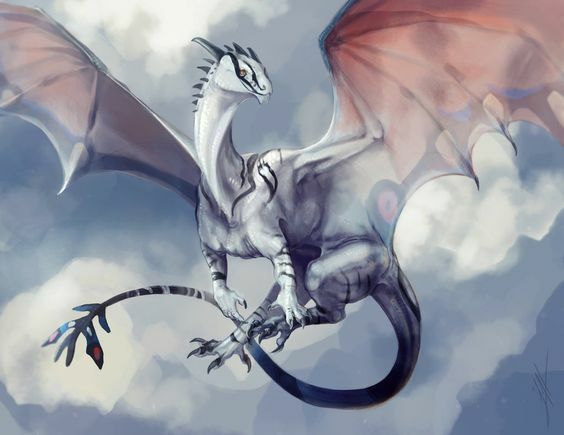 kadek is a white, muscular dragon. he has averagely sized wings that fade into a pale salmon pink as it goes towards the ends. his smooth, straight horns, claws, and spikes are a dark gray. he has unusual but often praised for the uniqueness, patterns on his body. they are black stripes and swirls, mostly found on his face under his eye, then along his neck, to his shoulders, knee area, forearms and down to his tail. his tail fades into a dark blue color, and becomes a sort of leaf-looking tip rather than a spike. kadek's eyes are a bright yellow. in his humanoid form, he keeps his yellow eyes, black dragon claws, and horns. otherwise, he has a lean muscular, and tall body type with pale skin and dark, smooth straight, short hair. accessories/scars. he usually doesn't wear any accessories when in dragon form besides the traditional royal jewelry like golden bands around his ankles and forearms. in his humanoid form, he wears any sort of black accessory. [*cough*, edgy boi] kadek has a scar along his lip to his nose. in humanoid form, he usually covers it up with a mask because of embarrassment. personality. kadek, being the second child, is used to being second place in almost everything. he doesn't talk too much, and isn't as good at socializing but likes to show-off anyway to gain some extra attention when in the moment. although he can seem out of place sometimes, kadek often wishes he could live a normal life rather than being royalty. although, he still enjoys the perks of it. when training, he can be pretty competitive. powers. like any other dragon, kadek can breathe fire. in his humanoid form, he isn't able to either of course. however, he does have enhanced strength and senses. family. honestly not sure how this works, i guess whoever makes the leader is the parent??? he also needs an older sibling too! history. kadek, as stated before, grew up always second. his older sibling was almost perfect at everything, and he usually grew jealous at this. thus, kadek sought attention elsewhere. when he began training to become a soldier, kadek took this as an opportunity to show off his skills and gain attention. although dragons were amazed, no one spoke to him because of his intimidating competitiveness and appearance. kadek trains hard, especially because of the war, and hopes he can prove himself as a great soldier soon enough. and perhaps gain some sort of friends who aren't scared of him. weapons. he has no weapons besides his fire breathing, and claws. appearance. quinn because of his job as a fighter, has to have a muscular built body of course. he's quite tall as well, with pale skin. he has dark brown straight hair, with amber eyes that glow red in his shapeshifting form, or whenever he uses his enhanced reflexes/agility. his nose is triangular, long, and an average size. he has plump lips where the corners always seem to face downward in a frown, accompanied with a sharp jawline. 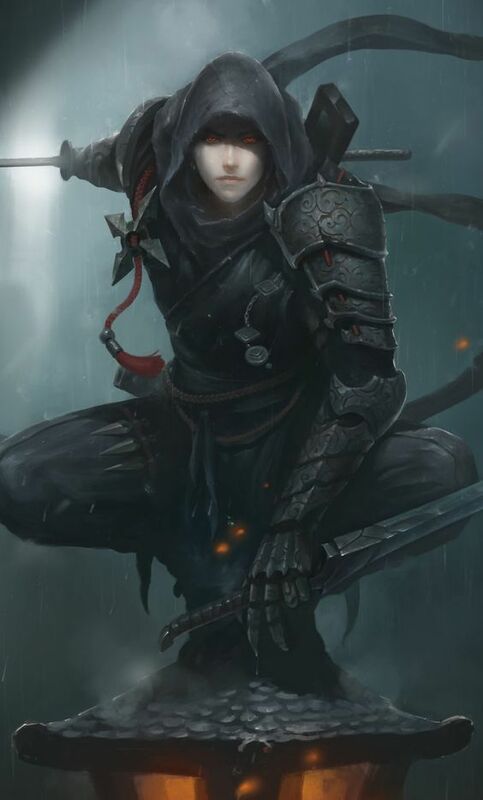 quinn often wears his black hooded clothes with armor when training or on a mission. if not, he wears a plain hoodie and jacket because he can easily walk into a human town and live as one of them, so why not just appear as average human. accessories/scars. no accessories, other than one silver earring on his left ear. he has a long scar on his right arm from an arrow that his pierced his wing in his shapeshifted form. personality. quinn is what you call a perfectionist. he's always on duty, and if not, he can never seem to relax. if he messes up even the smallest bit of thing, he won't forget about it until he makes up for that mistake. despite all of this, quinn is very caring and enjoys hanging out with friends to calm his nerves down. although because of his knack of getting everything right, and not wanting to be wrong, quinn may be a party-pooper sometimes. powers. enhanced agility, and reflex. he can shapeshift into a raven. family. born to althia, who was a mink shapeshifter and a scavenger. his father, who is a hunter, is a wolverine shapeshifter named basil. quinn has no siblings. history. quinn has vague memories of his mother, althia. he only remembers a few memories by the earring she left behind, which he treasures dearly. his father became very gloomy because of her death and wasn't very present in quinn's childhood. this caused quinn to always think he wasn't good enough for his father, and kept pushing his limits to prove he could be good and useful at things. quinn figured becoming a hunter apprentice would catch his father's attention, but it did not help. one day, when he became frustrated with his ignoring father, basil snapped at him. he blamed quinn for not being able to fight off the attackers that killed althia. quinn, because of his perfectionism was hit hard and later on switched to train as a fighter. he trained his hardest, wanting to prove to his father that he could defend not only himself but also the tribe. even though his father is a lost cause, quinn still pushes onwards with new challenges, hoping to become a head fighter one day. 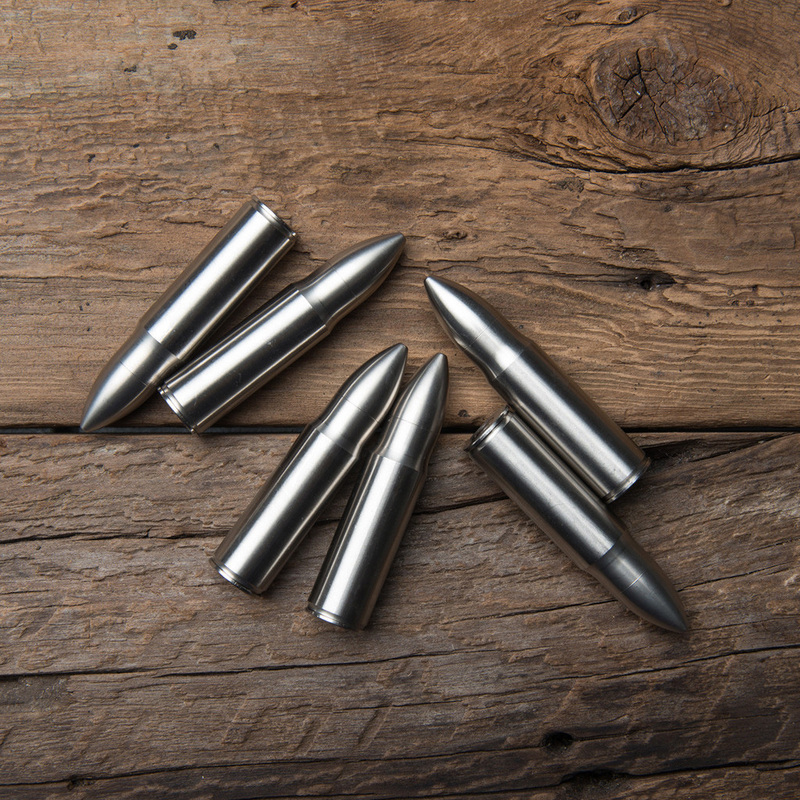 quinn keeps a pack of sharp small needles and smoke bombs in case of a needed escape. appearance: remiel is a beautiful woman with smooth, lightly-tanned skin. 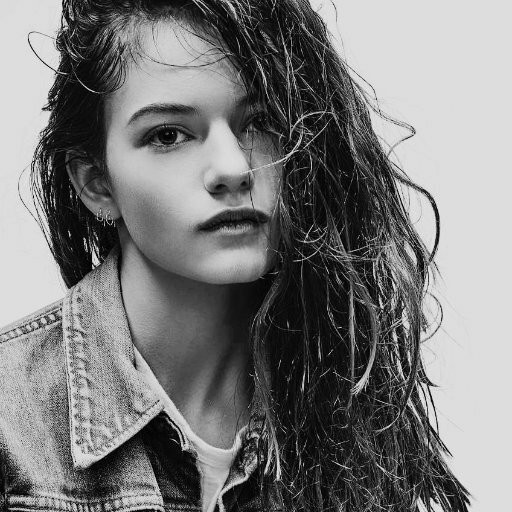 she has a chiseled face and long, wavy brown hair. she has blue-green eyes with tints of amber color, and bright red lips. remiel has stunning, colossal wings, much taller than her. despite how big her wings are, they still support her in a regular way and don't add weight when she flies. accessories and scars: remiel wears a golden bobby pin on the right side of her hair, a copper bracelet hugging her upper arm, and two white lace gloves that leave her fingers uncovered. she has many scars, but she takes time to make sure they are not noticeable. most of her wounds are found on her back. 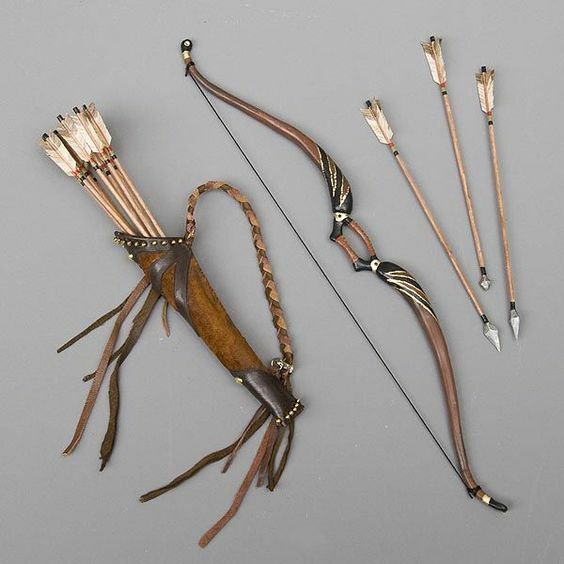 weapons: remiel carries a silver bow and arrow designed specially for her. it is one of her most prized possession and she never goes anywhere without it. 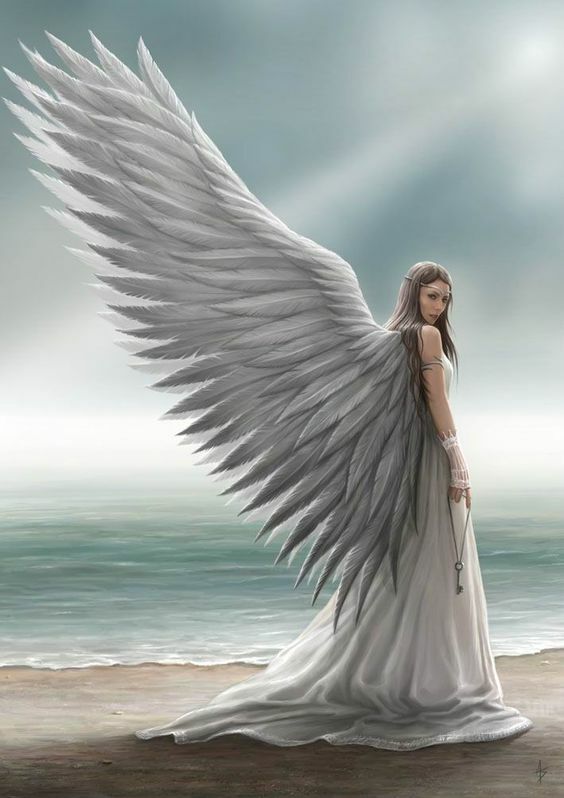 powers: like all angels, remiel can fly with her enormous wings to great heights. she also has enhanced intelligence. personality: remiel is a merciless and stubborn leader. most likely her opponents will only get one chance. she puts up a very tough exterior but on the inside she is a nervous wreck. ever since the war against the gods began, she has difficulty deciding what to do in most situations; whether to risk her own life or her entire tribe's. she doesn't trust anyone since the rebellion was uncovered and is often a little jumpy. she covers up her past with a murderous glare and a brave exterior. past: remiel was born as an outcast in a forest far from any of the tribes. her and her sister, asteraoth, enjoyed exploring with their mortal father, anakim. remiel's mother died of an unknown sickness not too long after their birth, which left the entire family in grief. remiel took up archery to let her anger and sadness out, and was later summoned by the leader of the angels to join her tribe and become a soldier. asteraoth and anakim were terrified of the tribes ever since the council broke apart. despite this, anakim encouraged remiel to go join them, because he wanted her to live life to the fullest and not in despair for their mother, karlel. after being summoned, remiel became an entertainer and worshiped queen valyn. being a former rogue, remiel wasn't too popular within the tribe, but she did hear all the gossip. apparently, queen valyn was having an affair, and had a half-breed with him. years passed, and the royal family had a daughter named chana. remiel adored children, and would always volunteer to babysit young chana. sadly, both of her parents died in the battle against the demons, so remiel took her under her wing. she trained her vigorously, but often had the fighters and hunters fill in for her. she was always very busy, painting portraits of the royal family and performing plays for imperial guests. chana grew to be very rebellious, but remiel had others deal with her, thinking it was just a phase. remiel was told by one of the healer apprentices that chana had gone crazy, severely injuring one of the healers. remiel was devastated. chana was such a sweet girl, but she was forced to exile her from caelum so she wouldn't cause any more harm. one day it was reported that queen valyn had died of natural causes, which was unusual for an angel. there was a vote hosted to choose the next leader, instead of promoting the princess or deputy. queen valyn was remiel's idol, and she desperately wanted to follow in her footsteps. fortunately, she won the vote, and became the leader of caelum. remiel appointed trudel, queen valyn's daughter, as her deputy. after becoming closer, remiel learned from trudel that the rumors she heard all those years ago were true. she took action and banished the half-breed, balere, and now vows to keep her tribe safe from the rebellion. other: remiel has no time for romantic relationships. appearance. portia is a tall, and lean witch with pale skin. she has thick usually painted red lips, with a thin, round nose, small ears, and large almond-ish shaped eyes. she has dark, average, but long eyebrows. portia's hair is a long, wavy/straight ebony black, with a couple streaks of red coming from the roots of her hair to the ends on the side in a braided style. she often wears her hair up in a high ponytail, along with the traditional deputy's crown comb (forgot what they're called?). she usually has two strands of hair coming down beside her ears as well. accessories/scars. portia has a scar from where her red streaks in her hair come from, which go down to her temple and ear on the right side. she has the traditional hair comb on her ponytail which is gold. 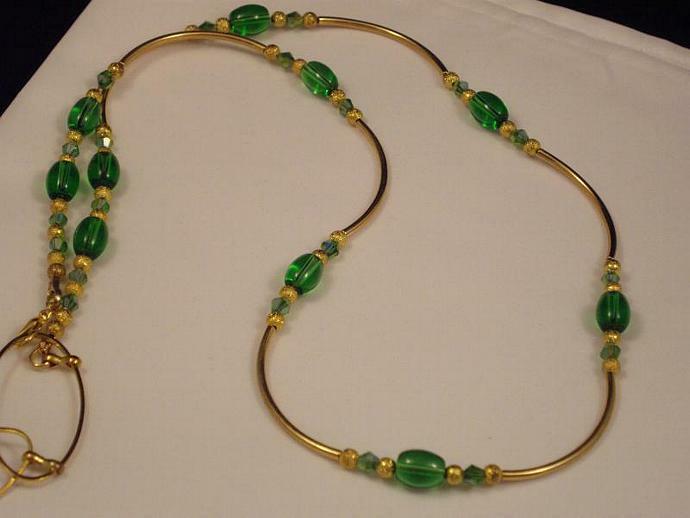 matching that, two detailed golden earrings droop from her ears, and a set of golden necklaces wrap around her neck. she wears black armored gloves up to her elbows, which have claws attached to them. personality. portia is a scheming fighter and a cunning deputy. because of her organized and skill in battle-planning, she was appointed to her rank that she prides herself in. however, because of her sly personality, many vasilissa members find her untrustworthy as if she is about to betray her tribe at any moment. unlike their doubts on her, portia is very loyal to her tribe. she only does things in a different way, or in whichever way to get the solution she needs. portia does have trouble expressing her emotions easily, so she usually shoves them aside and bottles them up because she finds that they make her weak. powers. portia herself down not withhold any powers. however, she has the ability to summon and use spells from a spellbook she has studied for years. family. portia's mother is named alice, who was the previous deputy, but retired. portia's father is a human, most likely still alive but unknown to her. portia has three siblings: her brother aiken, a rogue male with witch's blood in him (probably will join the rebellion), and her two sisters ethel, and idina, both apprentices. history. portia was taught to fight at a young age because of her mother being a deputy. she was often emotionally neglected, causing her to bottle up her emotions. whenever she would break apart, her mother would call her weak. which then portia grew into thinking of her emotions as only being a block in battle and life. she was very cunning when growing up young, and would do whatever it took to secure the place as the top apprentice in her spellbook lessons. she had no trouble in fighting, for many of the other apprentices feared her. even though portia did not have any friends because of this, she never really noticed the need for them unless they'd be useful pawns in a battle, or if she was bored to have something entertain her. portia lead on in her mission to become a head fighter. however, her mother retired at that point after doing something utterly foolish. she had tried to take power from an ancient spellbook, causing her entire right side of the face and neck to be burned, as well as her hands. portia did not find this as a sign to scoff at her mother for doing something so dangerously stupid but scoffed at her instead for not being able to summon the spell. so, portia declined the head fighter position and let her ambition take over. she went for the ancient spell and was able to accomplish it. this was because the spell required a soul not distracted by love. portia's mother was unable to because she loved her daughter without realizing it, in an unusual and harsh way though. portia earned the ability to use the spell because of her block of sympathy and empathy in her heart. however, it came with the side effect of a scar down her right side of the face and the red streaks in her hair. coming back with this ability, she proved to the leader how capable she was and that she demanded to take the deputy's position since it only made sense that the previous one's daughter earn it. portia now seeks to lead her tribe as second-in-command and make it as strong as possible. extra notes. she's very hard to reach inside because of the years that caused her heart to block any sort of love inside. this doesn't exactly mean she can't be in a relationship, but if she is one it might either be toxic, or her companion won't notice how portia doesn't truly love them, but rather uses them to not be completely bored in life. there is a possibility to reach her heart, but this would take time and some sort of emotional connection through a very memorable event. weapons. portia uses her spellbook of course, although added with the ancient spell to give her fiery red strings that burn hotter than a dragon's fire. she uses gloves with claws for close-combat fighting. Chana has pale white skin, moon-white hair with red ends, which can help to identify her as having royal blood. She is fairly tall, looking to be in her early twenties, but her aging stopped at 23. Her wings are an enormous size with red tints all over, especially on the edges. She has dark gray eyes that are almost black, black lips (lipstick), and black eye shadow. 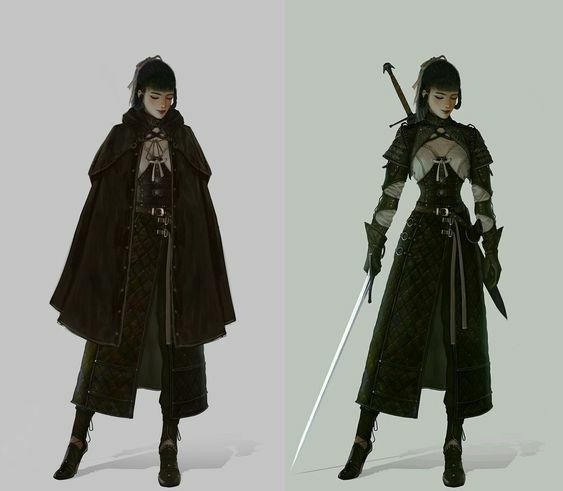 The outfit shown in the first picture is her battle armor. She mostly wears it when she goes into battle, on patrols, or for meetings. She also has some casual outfits which mostly consist of flowing black dresses with hoods attatched as shown in the second picture above. Chana normally doesn’t wear any jewelry, except for a ruby circlet and a gold ring with wings on it. She wears the band with any outfit, as it helps others know of her rank and loyaltly to her species. She does have numerous scars all over her body, but her most prominent ones are shown on her arms and legs from many battles. Chana has a rather calm personality to her, but always shows a neutral look on her face towards anyone. She does have a ruthless temper and fighting style, getting angry when someone insults her, her tribe, or anyone who she deems a friend. Her temper has caused her to have very few she can call a friend, but she is not corrupt like some Fallen Angels. She does not show any kindness to anyone, but is very trustworthy and very capable of handling her job and others. Chana was born to a royal Angel family, not Remiel’s family but of another. When she was of young age, around 10, both of her parents were killed in battle and she had no siblings either. Remiel took her under wing and raised her as her own, training her as best she could but leaving it mostly up to the lead fighter. When Chana was 16, she had been feeling as if she wasn’t loved enough by Remiel, so she started to rebel and act out. She would get in trouble a lot, but never got chastised as Remiel wasn’t around her much to do so. This led Chana to become very angry and upset with her adopted mother, causing her to lash out very aggressively and almost kill a healer of Caelum. Chana, having left the healer bloody and in many wounds, was found by Remiel and sentenced into exile. Following her exile; about a month after, she was found by the leader of the Fallen Angels. The leader took her in and raised her better than Remiel did, and even gave her more intense and advanced training. After Chana’s body stopped aging physically at 23, she was known as the most ruthless and fearsome Fallen Angel in her new tribe. After 10 years of being under the leader’s wing and tutelage, she was gifted a spear (first picture) and named the new Deputy after the death of the previous one. She became proud and honored to hold the title, taking on her job very seriously. Now at 560 years old, she’s known as the oldest Deputy of her tribe and the most respected. She attends almost every meeting the leader is unable to or requests her to go to. She also has a mate, Adrian, who she met shortly after joining the tribe. She did not have a liking towards him at first, but whenever her temper took control and she got angry, he was the one to calm her down. Over the centuries, they grown very close and have each been shown to be overprotective of each other. Chana loves Adrian dearly, but barely shows it around others. She has a great respect for him and his job, never once questioning his word or loyalty to her and the tribe. 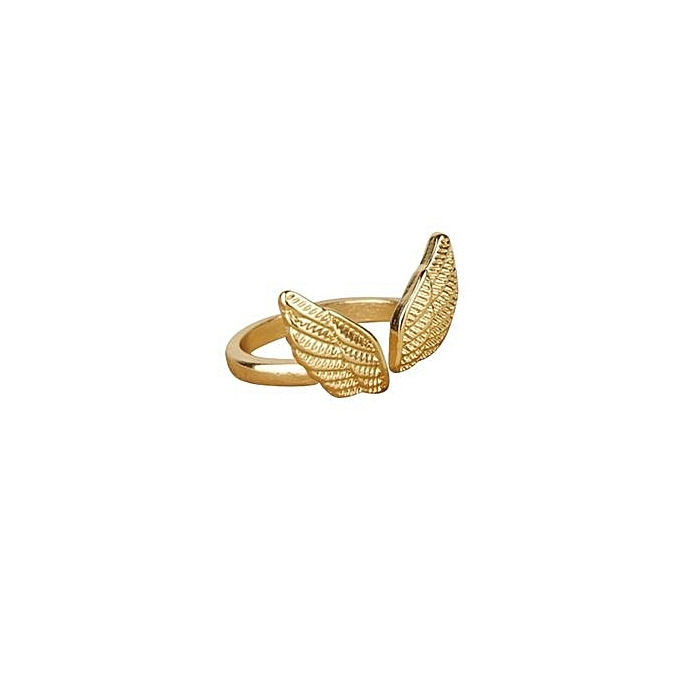 After Adrian had professed his love for Chana, he gave her a matching gold ring with wings. She wears this ring everywhere, keeping it on her left ring finger. Chana has enormous wings that allow her to fly great heights and distances and for a very long time. She also has greatly enhanced speed and strength, thanks to the intensive training she received in both tribes. She also has incredible knowledge with weilding almost any weapon, especially the spear she keeps with her. Her battle prowess is untouched, being undefeatable against enemies she has fought with. appearance ; maria is unnaturally thin and looks young for her age. she's got long, reddy brown hair that cascades down her back and ends at her waist. she has large, blue eyes, and a (usually) soft expression. she's tall and curvy, with gentle eyes. she has light skin and long fingers. her nails are usually always painted red. accessories/scars ; maria has a scar from a bullet in her thigh. she also has some dark bruises around her chest and torso and some even darker ones on her face. there's a scar from a large cut on her scalp, but it's not visible because her hair is over the top of it. there are a few other fainter bruises on her shoulder, and the most noticeable ones are around her neck. she wears a rose gold crown when she has to be a princess to her tribe. 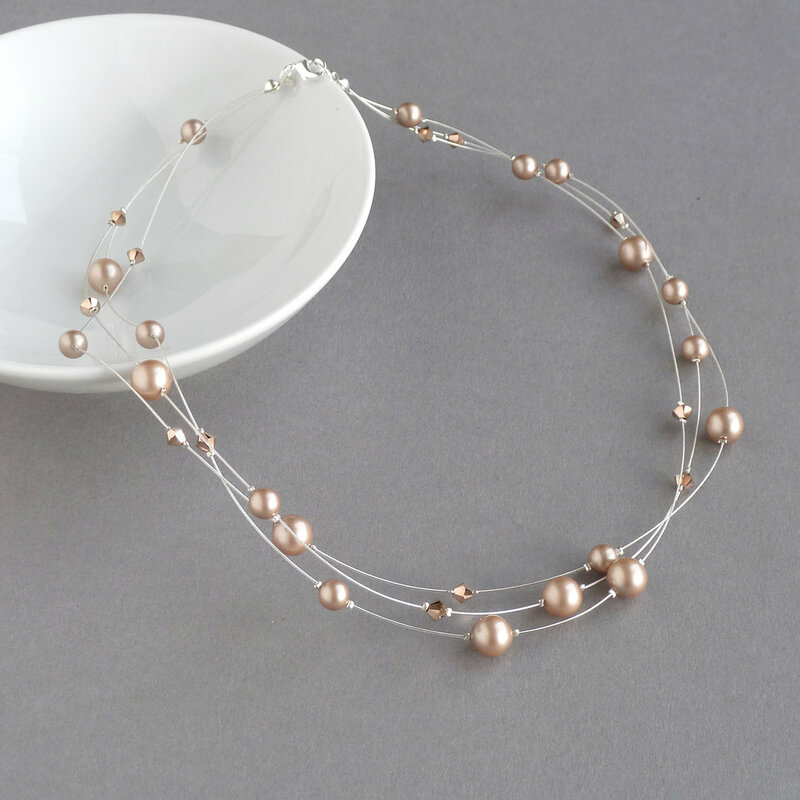 she always wears a rose gold necklace which was given to her by her mother. appearance. sekani is a tall, lean-muscled, light coffee-brown skinned cyborg. he has dark, thick but short eyebrows, black curly hair, and narrow sea-green eyes. his nose is big, straight, but not in an unattractive way, along with large lips. his ears seem to poke out a bit as well. however, because of his species as a cyborg, it means he's half human, half robot. he has robotic legs, and his left arm is a robotic piece to him as well. nothing else is besides some metal covering his left ear and left jaw. his eyes and ears are modified as well for enhanced senses. in his fighting-wear, he has orange electricity running through his robotic aspects. he wears a stealth cloak, also created by their tribe along with many other unique inventions. his face has a sort of tech mask, which acts to protect and give him information about his surroundings. accessories/scars. 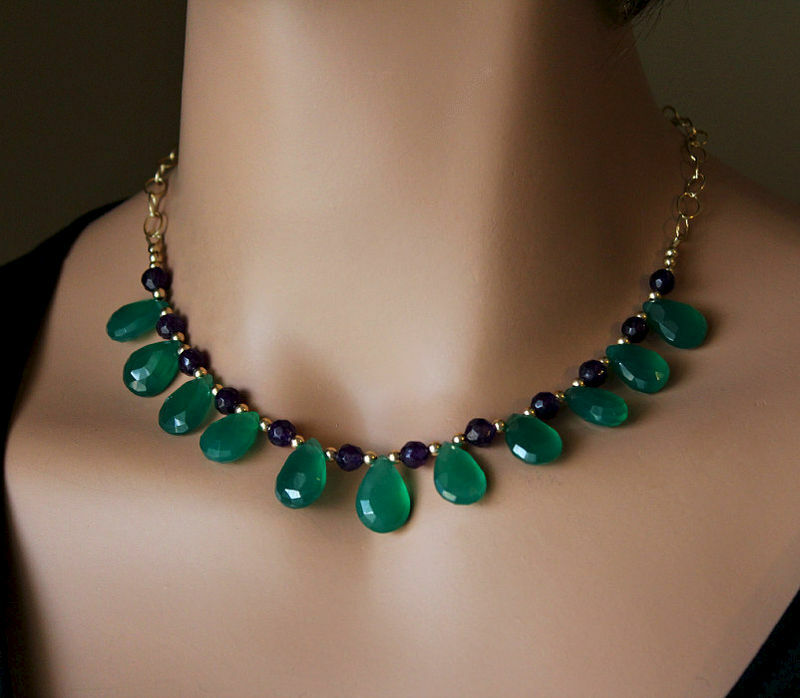 sekani finds no need to wear any royal jewelry even when he is in meetings or out and about in the open of his tribe. however, he does carry around gadgets with him. in his fighting form he wears a metal bag and strap around his chest to hold his weapons. sekani doesn't have any scars, besides a few scratches on his robotic arm which he uses as a last-resort shield. personality. sekani, despite his very important role in his tribe as the leader, doesn't have very good leadership qualities. he's still quite immature because of his young age and often argues with his advisors and deputy. sekani has a rebellious attitude and sometimes offensive humour along with that. he may seem ignorant and uninterested in new people at first, but all in all, he's a very fun friend to be around. he's very adventurous, although risk-taking as well, but courageous nonetheless in battle. powers. sekani does not have any powers. he has the ability to go invisible for a limited amount of time because of his stealth cloak. he also has enhanced strength and speed, as well as senses because of his robotic modifications to his body like any other cyborg. family. sekani's father and mother are unknown to him and are humans living somewhere in the world. his adoptive parents, two aliens who previously lead, were called ptolemy(father), and amunet(mother). he has two twin alien younger siblings, although not biological, but they're called nuru, and bes. history. sekani was found as only a baby stranded on the beach of the locus's tribe. a patrol of them found him and took him back. now, at the time amunet seemed to unable to have children, for her previous three were unborn. the two royal aliens took him in and soon discovered he was terribly sick and that must have been the reason he was left to die. the infection had already taken his legs and arm and had spread up his left ear and side of face. they were able to replace his infected limbs with robotic parts quite easily since they already had cyborgs in their tribe at the time. sekani was raised very closely to his adoptive parents because amunet was very protective of him. although sekani was thankful for them, he always envied the children who could play freely and do whatever they wanted. amunet one day was able to have children, and twins which was even better. during this time it gave sekani relief because she focused on them more now. however, he was still never allowed to leave the ship, until the day his parents both were assassinated by a traitor cyborg. the cyborg meant to kill the children too, but sekani defended them, able to use his robotic arm as a shield for himself as well. luckily, the higher ranked locus tribe members were able to reach them in time. the cyborg that betrayed them had escaped, most likely apart of the rebellion. sekani's life changed extremely from there on. advisors followed him around and kept eyes on him at all times, and he was forced to take the leader's position. sekani hated making decisions and feeling so pressured. he felt locked up, and so, his rebellious attitude began. so what if he broke some rules, it's not like they'd do anything about it. 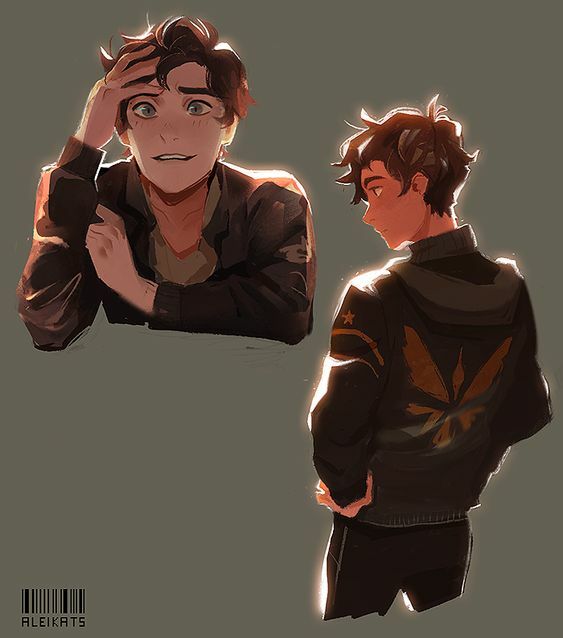 this caused him to often sneak out, using his stealth cloak to leave and mess around in the city, or even in human cities to have fun for once. he still thinks about his parents and vows to get revenge for them and find the cyborg traitor. extra notes. siblings are open to make, and he's open to relationships etc. weapons. 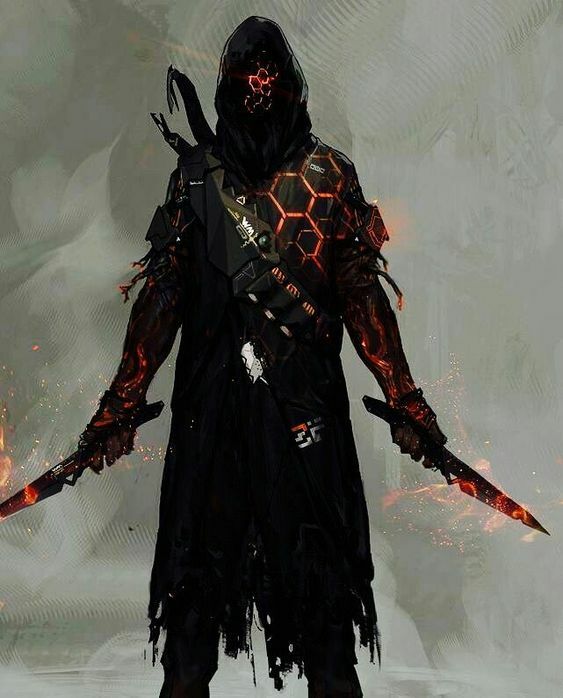 sekani uses a stealth cloak to go invisible for a limited time, his tech mask for information on his surroundings and to be able to see in the dark. he also has two short swords which glow with a vibrant orange electricity, which also covers his body in his fighting form. he also has a high-tech crossbow. appearance ; eira has pale skin and small features. dark ginger hair flows and stops just before her mid-back. she has vibrant, ice blue eyes that she gets from her father and small features. her lips are a vibrant pink. eira is very small and has a boyish figure, being very flat-chested. unlike other sirens, she doesn't have the sharp fangs or claws. her bat wings, unlike other sirens, aren't black or dark brown. instead, they're a midnight blue colour. her tail is also short and is an icy blue like her eyes. 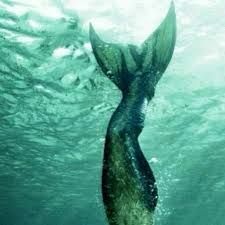 it's further down her body than most other mermaid or siren tails, beginning in the middle of her hips instead of above them. in the water, it appears to be a darker turquoise colour. accessories/scars ; eira has a large amount of scar tissue on the top half of her ears. other than that, she tries to avoid getting scars. she does, however, have a ring of scars on her shoulder where another siren dug her claws into the front, below her collarbone. 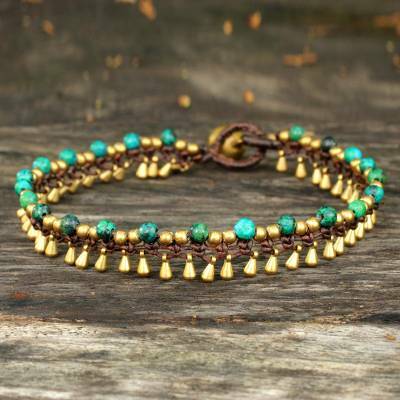 she owns a bracelet with sharp shards of ice that never melts attached. she also has a diamond ring that was a present from her mother. weapons ; eira usually doesn't enjoy fighting, but when she has to she usually uses a magic ice sword that can never melt. in private, she also can fire out blasts of ice, usually as sharp icicles. personality ; eira is a peaceful girl who is against fighting - very unlike her siren companions. she agrees with the mermaids views on not eating humans, and is happy surviving off fish and seaweeds. an ice sculptor, she enjoys creating things and planting flowers that live below the sea. she's humble and modest and doesn't like being in the spotlight. sweet and kind, she loves her tribe and doesn't like how there's a divide between sirens and mermaids. slightly naive at times, eira represents the beautiful and comforting feel of snow, not the cold and bitter side. powers ; a hybrid, eira has the ability to create and manipulate frost and ice, as well as create ice that can never melt. she also has some of the natural siren abilities, including flight and her siren voice (even though that's weak compared to others' voices). 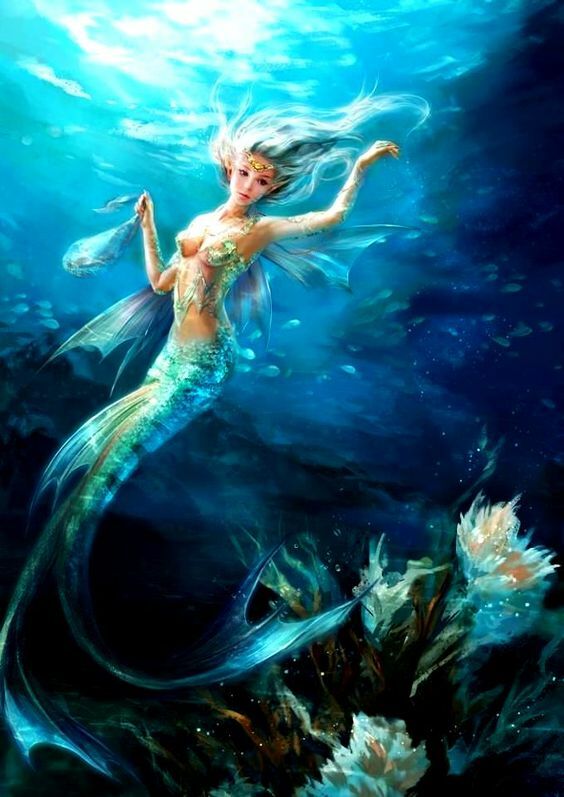 family ; eira's mother was a siren who agreed with the mermaids' point of view. she was killed in the war. her father was a nymph who was strongest in the winter season. her twin sister, racquel, was also killed in the war with her mother. history ; eira's parents loved each other, something unusual for sirens. appearance. deo isn't as tall as others but says himself he isn't short and only average height for his age. he has pointed-ish ears, wide blue eyes, thick eyebrows that grow thinner as they get longer, a button nose, and thick medium-sized lips. deo has light brown hair, with freckles along his nose and upper cheeks. his skin is a fair color, not to pale, but not tan. his hair is often messy, but he keeps it flipped over most of the time. deo just wears average clothes, or whatever humans are wearing at the time. he doesn't use armor much because he's not a fighter. accessories/scars. deo has only a golden bracelet on his left wrist as an accessory. he has no scars. personality. deo can be quiet at first, although he tries is hardest to talk and make new friends. he often worries a lot, causing anxiety, so he can end up being a bit awkward at times. despite these negative aspects of his personality, deo is still a very loyal friend. he can be the "dad/mom" of the group a lot. he's often protective of ghosts close to him and is always putting them first with a caring heart. despite this, he is still very clever because he enjoys studying and reading a lot. although he is a scavenger/hunter, so that means all that information built up is put to good use. powers. able to go through solid objects, and go invisible, only in ghost form. family. deo's father is named enapay, and his mother's name is orva. he has one younger sister named nadina. history. deo was born to two pureblood ghosts, so he was never turned because he never lived a life as a human. deo always had knack for reading and learning new things. he wanted to be a teacher at first, but his father discouraged him to do so. enapay wanted his son to follow in his footsteps, because he wanted to retire later in life and his family tree had been head scavenger/hunter for a long time. deo, being too timid to protest only did as his father pushed him to. luckily, his mother, orva kept him from becoming an emotionally unstable ghost. (*cough* like my other characters o0pS) weirdly enough orva is very fun-loving and kind despite her being a fighter. deo has one younger sister named nadina whom he always loves spending his free time with. one deo was a scavenger, he took the test for the head position. his father was one of the judges at the time. he didn't do as well as the others physically, but mentally he beat them all. he was able to earn the rank, although he is still pretty confused to this day on how he got it. many ghosts say his father must have pulled some strings to let him win, but they're only envying him. yeah people say, "run, don't walk away"
appearance ; aelin is known as beautiful. she has pale skin, a slightly rounded face and rounded lips. 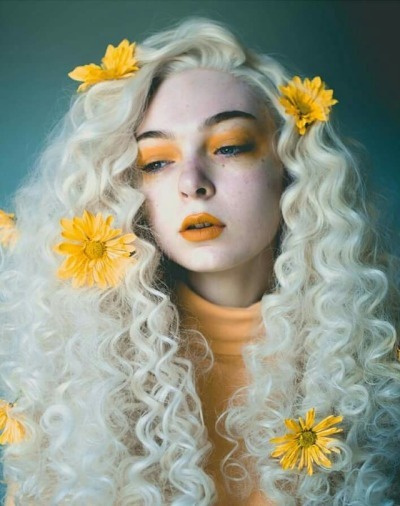 she has fair blonde hair that usually has a slight curl to it and very dark blue eyes that appear to change colour in different lights and settings. like all fae, she has sharp canines, claws and delicate, pointed ears. tall and curved, aelin knows how to use makeup to manipulate her slightly less attractive features to make them beautiful. the 1% of witch blood she has means her blood is blue. her symbiote is dark red, nearly black, with huge, white eyes. while not as large and muscular as a lot of symbiotes, hers is long and spindly. accessories/scars ; aelin has a lot of scars around her body, and she remembers the stories behind each of them. these include a ring of scars on her wrist from where she was bitten by a werewolf. she also has a thick red beaded necklace, which is actually her symbiote (ignite). she wears a lot of other jewellery, a lot of them inspired by fire or flames. 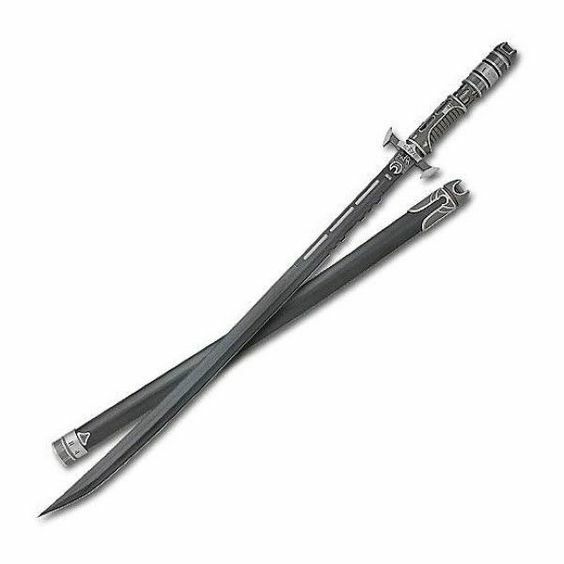 weapons ; aelin usually enjoys using her claws as weapons, because they're almost as sturdy as iron and are very sharp. other than her claws, she uses nearly anything. she's best with her wooden staff, made of fae wood that's as strong as metal but has a wood texture, and her silver and gold decorated daggers. personality ; aelin is snarky and sarcastic, almost always having a witty comeback. she fights for what she believes is right, and will never, ever admit she was wrong - at most she'll admit it could be viewed either way. she is always moving in some way and doesn't care what others think of her even when she talks to ignite out loud. like her element, she's wild and can't be contained, but is also warm and protective of her family. incredibly hot-headed, she loves her sister more than nearly anything. she believes the tribes are wrong, especially about hybrids, so she supports the rebellion with everything she has. while she never got the chance to be queen, she's a strong leader and is very good at ordering others around. 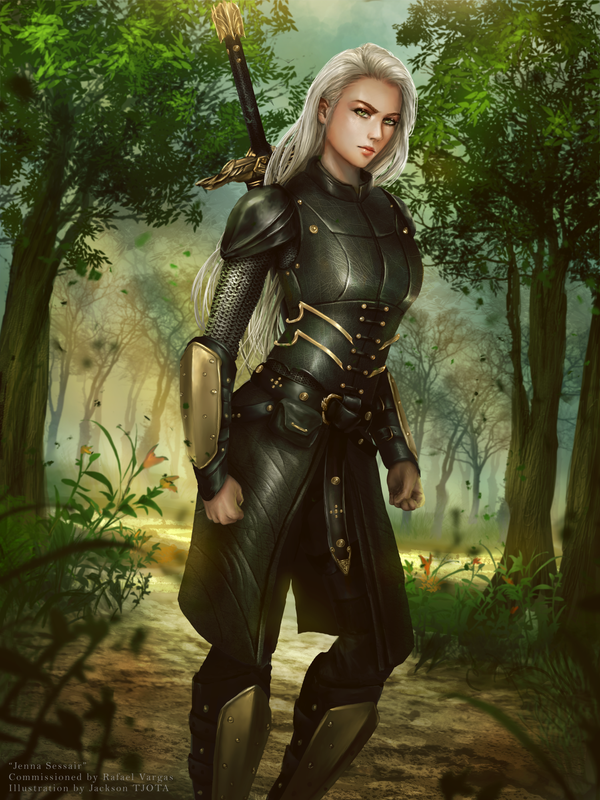 powers ; from her fae side, aelin has the enhanced senses, speed, strength and healing. she also has the sharp canines and claws, but can't shapeshift. from her elemental side, she can wield fire - but currently, she can't use it, because her symbiote is weak to it. she is also immune to fire (but her symbiote isn't) and can make her body heat increase or decrease (only to her natural body temperature). ignite, her symbiote, means she can heal even faster. she can also fire out tendrils of ignite, and the symbiote can take over her body with a protective armour and mask. her witch side means she can sometimes use potions, but she isn't good at them - she can roughly make some if she has proper instructions, but usually, it ends up a mess. family ; aelin's mother was a hybrid, an elemental with symbiote host genes and some witch blood running through her veins. her father was a fae king. she has a half-sister, a witch/fae hybrid, who she shares a father with. history ; when aelin was born, she was raised in the elemental tribe. then her fae abilities surfaced. as soon as she was old enough, she was cast out. she made her way to the fae tribe and hid her fire abilities as much as she could. she was adopted into the tribe and raised as the heir - it was quickly found out she was the king's daughter. as aelin grew, she mastered her fire as much as she could in secret, and even trained herself in fighting. when she got into a fight one time, she was cut and when her blood ran blue, not red, she was exiled from the fae tribe too. angry, she left with a bang, sending out a wave of fire that decimated 1/8 of the tribe. she was discovered by ebony, the leader of the rebellion, and joined her cause. eventually, she became deputy of the rebellion. one time, when she was on a mission, aelin discovered a symbiote. the symbiote bonded with her before she knew what was happening, and when she made her way back to the rebel base she was sick for a while, adjusting. eventually, she got to know the symbiote and found out her name was ignite. even though aelin couldn't use her fire without hurting the symbiote, the two learned how to work together. while she was at the rebel base, she found that her older half-sister, ashrynn, and her mother, fern, had both come to join. while she didn't feel the need to bond with ashrynn at first, she quickly got on good terms with her mother again. then her mother died in the war. angry and upset, aelin was drawn to ashrynn, and eventually, the two started talking. she became the older sister figure in aelin's life, and in aelin's own words, the best thing that ever happened. extra info ; at some point, she's gonna get a thing called "hellfire", which is nearly identical to normal fire, except symbiotes are immune to it. it's possible to change its colours. she'll still use normal fire to tease ignite. Ashrynn is a beautiful hybrid fae/witch with tan skin, silver-white hair, brown eyebrows, and pink lips. She is rather tall for a hybrid, and with her Fae and Witch blood in her she retains features from both species. From her Fae father, she has pointed ears, sharp canines, and the ability to shift to an animal form. From her Witch mother she has the iron teeth and iron nails along with the blue blood like her sister. Her eye color is that of a sage green with cores of gold around the pupils. Ashrynn doesn’t have many scars on her, as her fae abilities allowed her to heal most of them. She does have some prominent scars across her stomach, neck, and back. She received the scars across her stomach and back from her mother and other witches growing up. The one on her neck is from being held by her neck during a battle and a werewolves claws scratching her, but not infecting her. She doesn’t wear any accessories except for a crystal necklace that glows when she is angry or shifts to her animal form. This necklace was given to her by her father. Ash is rather silent a lot, not really showing many emotions around anyone; except her sister. She does have bad anger issues, lashing out at anyone who threatens her sister or herself. The only times she speaks is towards the group to give orders, to Ebony the leader, and the other two deputies. She is very trustworthy and reliable, able to make friends easily but chooses not to. She takes her job as Deputy quite seriously, but at meetings she is one of the ones to stand guard for Ebony. She has also built a tough persona around herself from the abuse she received from her mother at a young age, and does not tolerate any abuse done to those inside her group. Ashrynn was born to a Witch in the witch tribe, however she was thrown out and abandoned by her mother at a young age; 8 years old. By that age, she was abused physically and mentally by her mother and other witches for being a half-breed. The elders of the Witches came upon a decision to cast her out and give her to her father, the previous Fae King. He had no knowledge of siring a daughter but he took her in and loved her dearly. By the age of 16, she was able to master her shifting to an animal, as well as using her iron teeth and nails. She also received intensive battle training from her father, as well as learning to become an assassin. After 60 years of being with her father’s tribe, she left after not feeling as though she belonged there; being a hybrid. 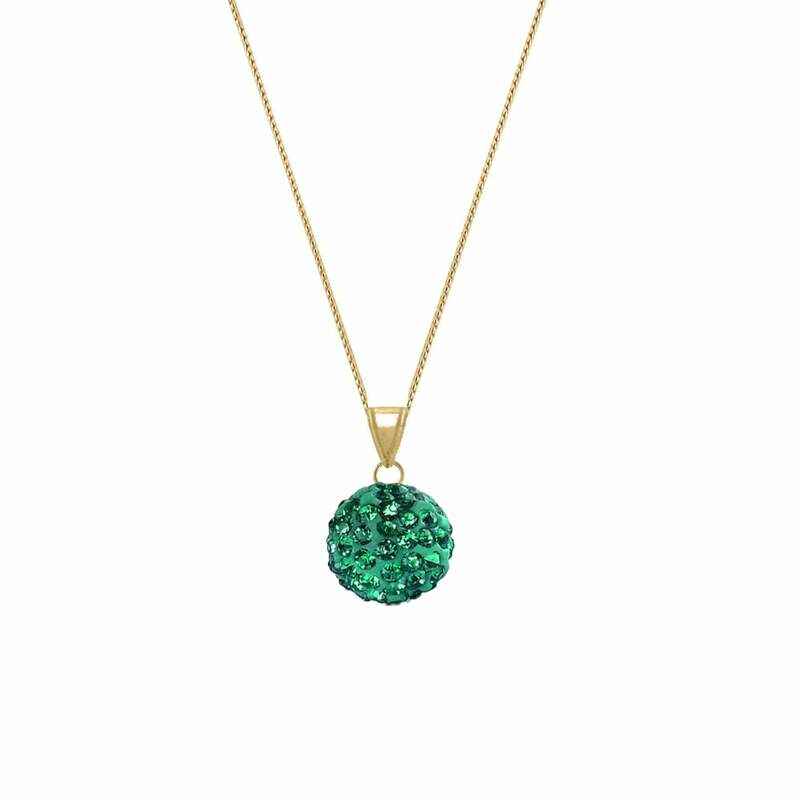 So her father gifted her a crystal necklace and his understanding, making sure she knew he loved her very much. She eventually came to be with the Rebellion, Ebony accepting her. After awhile of being with Ebony and the group; 200 years, it was decided by the high ranks to make her Deputy after 115 years of being in the Rebellion. The decision was made based on her skills in combat and leadership, ability to shift to an animal and act as a spy, as well as her loyalty. After a couple decades later, her younger half-sister joined the tribe along with her mother. At first, Ashrynn didn’t want much to do with them, but after the death of Aelin’s mother, they started talking every so often. This eventually led to them becoming very close and Ash very defensive around her sister. She would do anything to make sure she is safe and alive, even dying so her sister will not. Ashrynn has enhanced speed, strength, healing, and immortality. She also has the power to shift into an animal form from her Fae blood, that form being a larger-than-normal white tiger. She also has her Fae eyesight and hearing, and her Witch iron teeth and nails which she can retract at will. appearance. emilia has pale skin, as do all vampires, and a lean muscular body. she's on the lower side of average height. her hair is black, included with bangs and reaches her chest. at the ends, it's dyed silver. she has narrow, sharp gray-blue eyes with thick short eyebrows. her nose is long and thin and is down-turned although not by much. she has average lips, although the bottom lip is thicker while the top is thinner; she usually wears dark red lipstick. back to her hair, emilia often wears it in a ponytail. her side bangs which are longer are usually braided and pinned to the back of her hair giving a loop-appearance. accessories/scars. emilia wears a silver ribbon to tie her hair, as well as silver ringlets around her side-braids. her nails are almost always painted black. she has a scar on her left elbow given to her in the fight with rogues during a patrol. personality. emilia is a head-strong fighter who can be stubborn at times. she's close-minded and doesn't adjust to new changes as well as others. this caused her to be a bit suspicious of siding with the rebellion and supporting half-breeds, but because of her loyalty to her tribe, she did not question it aloud. emilia is often a stoic fighter because of her past and how she blames herself. she doesn't like taking things to lightly, but may settle down for a drink or two to calm her nerves. she's very persistent, hopeful and hard-working. she'll do whatever is needed for her tribe and royalty, even if it means dying or killing someone close. powers. emilia can shift into a bat at any given time. she has enhanced speed, senses, and strength. she is able to mind-control although it takes a long process to do so. to be able to do this, she needs full concentration and not many distractions so tricking and luring in her victim works best. the mind-control only lasts while she is there, and can simply be broken by having the victim recall a past memory of their life. family. her mother is a merchant and her father is a gatherer. sofia and walter besides having emilia, also had another son named otto. he is much younger, causing emilia to be very protective over him. history. emilia's parents were both running in the marketing business. they had continued this business for a long time through their family and wanted emilia to be the next shopkeeper. her father would gather items and build, while her mother sold them. she would be forced to sit hours everyday with her mother lecturing her on how to run the shop. although emilia knew her parents wanted her to be the next shopkeeper, she had different plans to be the best soldier in the tribe. every night, she would sneak out of their house into the woods to practice with a wooden toy sword. that is, until one day a young fighter stumbled across her. he had just graduated to a fighter from an apprentice a few days ago and found emilia's ambition interesting. he offered to help her get better at fighting if she gave him tools from her shop in return so he could use them to get better equipment. emilia agreed right away, and they continued to meet at night, quickly becoming close friends. one day during the new apprentice's ceremony, her friend, andreas had called her up to be his next apprentice. the head fighter approved after seeing emilia's skills. emilia and andreas soon developed a bond between them. emilia sensed he felt the same for her, but she needed to focus on her training more than romance. one day, when they were going out to patrol, they were ambushed by a group of rogues. andreas lied to her that day. he told her he'd be fine and she should call for backup. however, once she returned it was too late, he had been wounded and covered it up with a lie. emilia went into shock and disbelief as he slowly died in her arms. once she graduated, she was miserable, but after choosing to become a personal royal guard, she always takes it extra seriously, remembering andreas's death. extra notes. she currently has no job because of her devotion to being a personal royal guard, although she might mentor someone in the future. 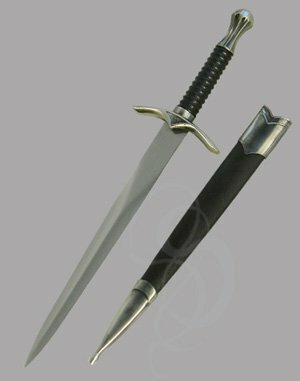 she has a basic, but very sharp and quick sword as shown in the fullbody picture. she carries along another sword, although its quality isn't as good but if needed she can duel-wield os use it as backup. appearance: adrian has a nimble frame that allows him to move quickly and efficiently during a hunt. he has pale skin with ocean blue eyes, and his hair is as white as untouched snow. wide, thundering feet are put upon him, along with quite large, elfish ears. his wings are an average size, pitch black with subtle tints of white. his vocal chords drip with a slight french accent. accessories and scars: adrian has a large scar going down the left side of his chest received from an unfortunate fall during a hunt. during his first days of training to be an archer, he also obtained a nasty scar on his right shoulder from getting hit with a sharp arrow. he wears an amethyst pendant around his neck from his old mentor, and a gold ring shaped liked a pair of angel wings that pledges himself to chana. he's almost always in his black armor, but it's not too surprising considering its bulletproof and he gets into a lot of trouble these days. 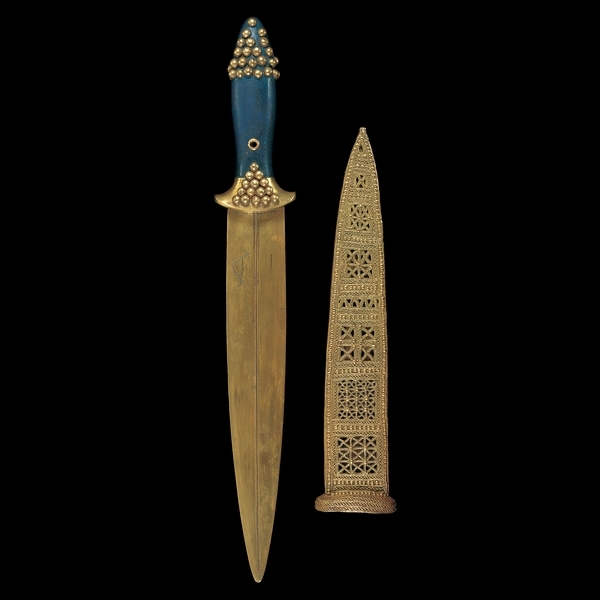 weapons: adrian has a gold spear with a blue handle detailed in gemstones that he carries with him everywhere he goes, along with a bronze morning star adorned with multiple spikes that can easily puncture. powers: adrian's black and white wings are not as strong as most because he rarely uses them, but he can still fly for quite a long distance. he was trained as a hunter to rely more on his feet than his wings, which is why he has developed enhanced speed and agility. personality: adrian is extremely intelligent, with a mind as quick as his tongue. he is confident, sure-footed, and makes an outstanding hunter. he has fantastic leading skills and is skilled in the categories of both herb and democracy. however, he can be very judgmental, and even though he doesn't show it often, it is very obvious in his gazes and words; he'll be brutally honest with anyone, whether it be his leader or his children; which he doesn't have, by the way. he doesn't want people talking behind his back too badly. adrian simply likes to play it cool. he often seems emotionless and impassive about many things, and he hides his true feelings - which, sometimes, he is confused about himself. he tries not to let anything affect his daily life, and continues living his life as it is. past: adrian and bradwick were born to two ill-prepared parents, who immediately left the fallen angels and didn't think to take their children with. thankfully, one of the angels who could not have kids took them in as her own. when adrian and bradwick turned 10 years old, their foster mother, clio, passed away. adrian was very close to clio and her death left him heartbroken. at the beginning of his training he was too grief-stricken to do anything, and received very bad scores on his assessments. he had a realization one day that if he did not pass his tests, he would stay an apprentice for a very long time, and bradwick would have even more reason to brag. 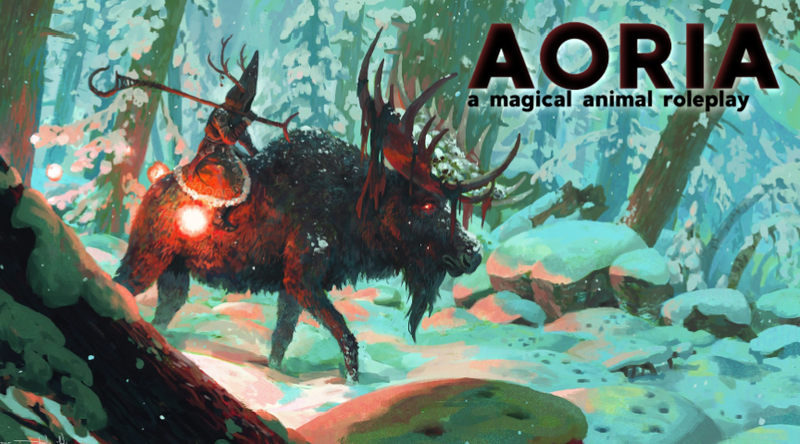 after becoming a full hunter and archer, he met a woman named chana, who had a troubled past. she had a quick temper and he was always there to calm her, and they eventually grew very protective of each other. 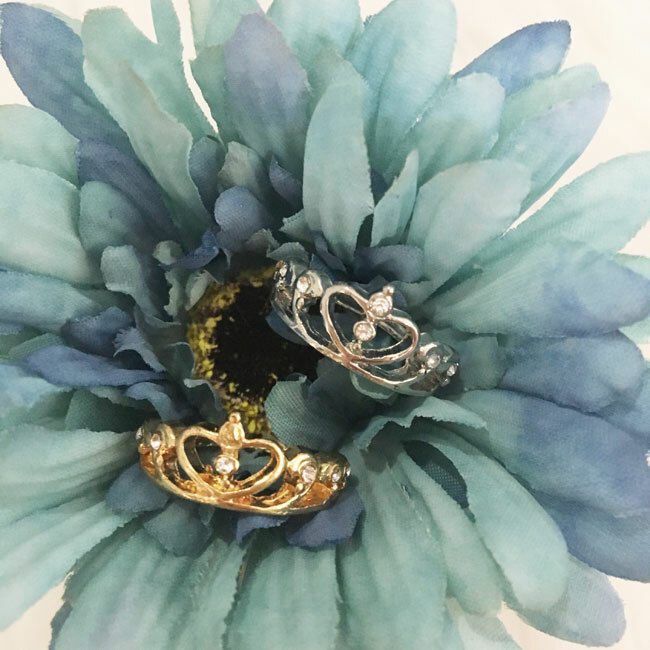 adrian professed his love to her with a golden ring shaped like a pair of angel wings, and he is so proud of how far she has come since coming from caelum. he stopped aging at 25 years old, and his old mentor, nimueh, gifted him a golden spear and amethyst pendant to remind him of their good times. him and his mentor are very good friends now, and often go on hunts together. other: bradwick and nimueh [meaning lady of the lake] are both open to create! appearance: nisha is a pale-skinned ghost with long, curly orange locks. sometimes she colors it white so she can embrace who she really is. she has an upturned nose and elf-like ears that she often hides with her enormous head of hair. she has mismatched freckles underneath her eyes, and her lips are a pale pink hue. the entirety of her face is brought together with a sharp, diamond shaped head. accessories and scars: nisha wears gold circle earrings and often pins her hair with delicate flowers that she tends to in the garden each day. her skin is flawless, with no scars or birthmarks. she is a healer apprentice, and has never been in a real battle. 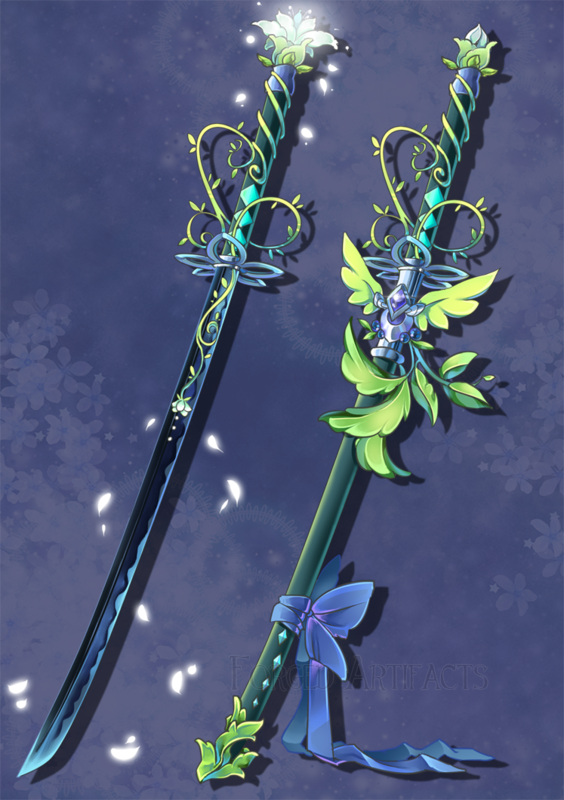 weapons: nisha carries a set of two magical swords that sprout flowers and vines. most ghosts do not fight, but her old mentor trained her to be ready for anything. she keeps the swords only as memory, because ghosts do not usually bare weapons. powers: nisha, when in ghost form, is intangible and can move through any solid object, as well as turn invisible. when in human form, she has slightly enhanced hearing. personality: nisha has a very soothing presence to most. her sparkling blue eyes come off to others as kind, soft, and secluded. she adores all members of saol, but the negative side to this is that she's not as adored by all of them. 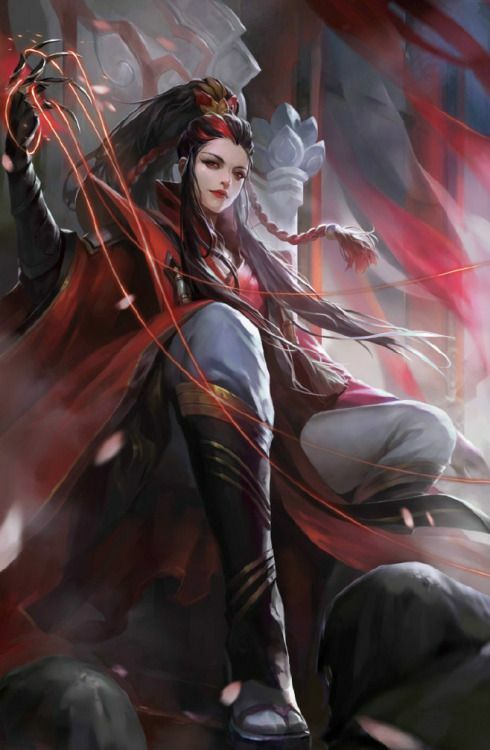 she comes from the magician's sanctuary, and although they are both neutral in the war, some members do not believe that she fully pledges her loyalty to saol. she was brought into the tribe only by pure sorrow at how battered and ill she was. nisha is not afraid of anything, however, and would go anywhere out of her way to get something done. this leads to her sometimes having to swallow her pride and stick up for others and not herself when they need it. she was made fun of a lot as a child, but she had gathered her feelings too much inside that now whenever someone says something tight-fisted, she's always ready with a salty comeback. past: nisha was born in new york city to a very poor family. once she turned twelve years old her mother grew very ill, and her father was always at work. they did not own a car, so she had to walk to the market everyday to pick up medicine and food. when she turned fifteen, her mother had finally passed away peacefully in her sleep. nisha was an only child so she lived alone, the only time her father being at home was when she slept. one day when she was walking to the market to buy some bread, she was hit by a truck driven by a drunk driver. she was instantly killed, and brought to saol. there, she became very interested in the healer's work and eventually became his apprentice. she made few friends but they soon turned out to be toxic, and so she was alone once more. she took to the gardens, enjoying the presence of the flora and fauna. grennian, the healer who appointed her as his apprentice, decided to train her with a set of special flower swords, because he believed that they were very vulnerable in human form and needed to be ready for anything. as she aged, grennian caught an incurable sickness and died. she was still inexperienced and another healer was made her mentor. one day she met taddeo, and they became very close. at first she thought of him as just a friend, but her mentally unstable self decided to develop a crush on him. nisha confided in taddeo's other friend, maria, but she pushed her away. now nisha lives with a constant thumping in her head that he'll find out, and she will lose the only friend she's ever had. other: nisha and taddeo often ascend to the upper world without permission to visit his pet cat. *She doesn't really wear this outfit, although you can imagine similiar robes/dress-looking thing for her formal wear? appearance. ebony has a petite, and pale skinned face. she has lighter eyebrows that are thick at the middle, but fade more as they grow outwards. her eyes are almond shaped, while her nose is small and straight. she has pouted lips, that are plump and average length, and often in a dull purple almost gray looking colored lipstick. she is lean muscled, tall, with wide shoulders (not too wide though), high hips and a thin/average-ish waist. her hair is platinum blonde, like many angels, are born with. her hair is parted in the middle and flows down to her lower chest area. ebony's wings used to be white with the golden streaks resembling her royal blood, but once she was cast out and taken her powers to summon the light, they faded to black. accessories/scars. 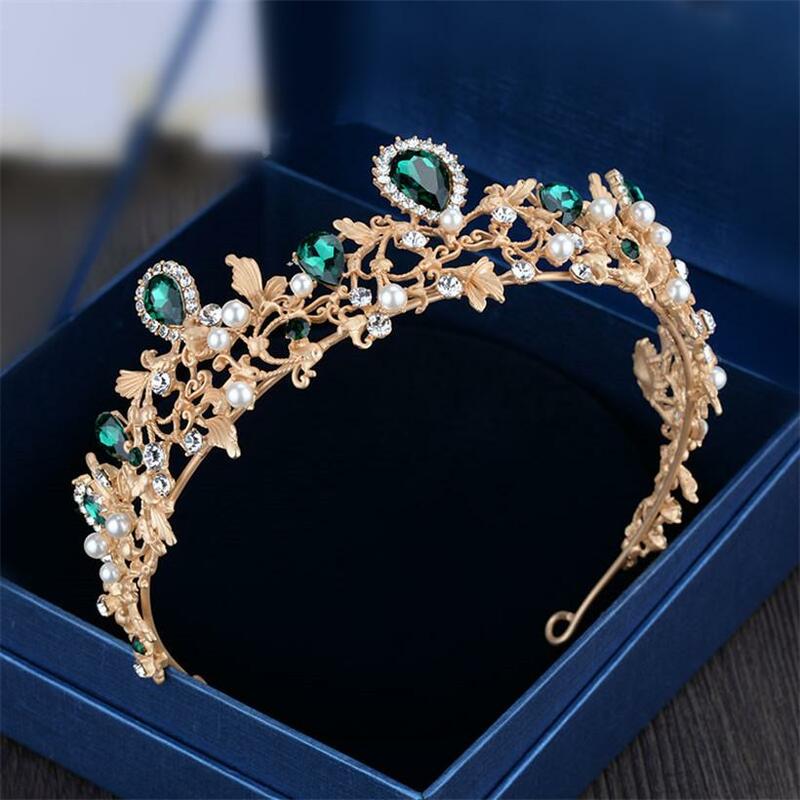 she wears a piece of head jewelry made of silver and decorated with details. at the middle is a rare pearl given as a gift from the sirens, with a smaller and darker obsidian jewel at the bottom. 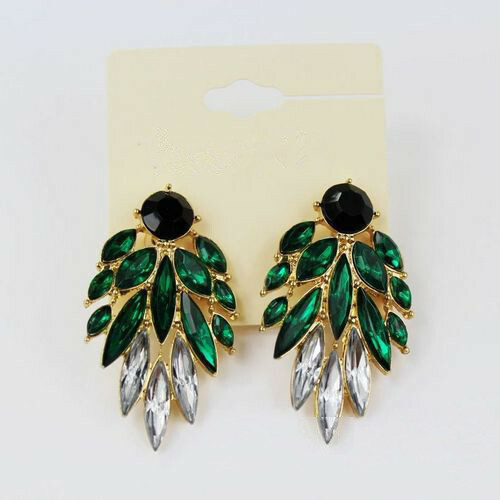 in formal wear, along with this head jewelry, she wears dangling silver earrings, arms bands, hand jewelry, and rings. she has a scar from the dragons that attacked her on her left shoulder. her other scars given to her in the caelum tribe when she battle trained were of course healed by the caelum healers right away. personality. ebony never shows her sympathy and empathy for others. this causes her to be quite the merciless enemy. although she wouldn't think twice about killing someone in her way, she might instead find them useful, or interesting to use. most of the members in her group are only pawns in her eyes. even though there isn't much she cares about for them, she's intelligent, and manipulative, and has gotten her way around with words many times. ebony's first intention when younger was to lead in a rank of unimaginable power, she enjoys being able to do as she pleases and doesn't feel guilty about it at all. she still can make friends by manipulating just for the fun of it, and only uses them as a way of getting over boredom. however, despite her anger that caused her to gather other half-breeds and outcasts together to get revenge, it is not her only goal. she enjoys messing up the tribes and seeing the once powerful leaders only confused and allowing their emotions to take over their wisdom by accusing each other. despite all of this, ebony still can be humorous and can have friends, even though she doesn't feel a bond with them, she still keeps them around for their "usefulness" to give her a sense of fun or comfort sometimes. powers. she has enhanced abilities, like any other angel. she also has the ability to fly, with her wings. however, unlike other angels, she is a half-breed. this means she has the power to control elements. she is stronger in the area of controlling the dark element. controlling other elements is harder, but can be done with years of practice. history. balere was born to queen valyn, but unlike her half-sister trudel, her father was different. he was an entirely different species, an elementalist. his name was kalmin, and he was a strong light elementalist. queen valyn met him because of their connection with the light, and soon fell in love with him, having secret affairs. after a while, these meetings came to a halt. queen valyn promised to her love that she would allow half-breeds to be accepted. she married one of the high commanders in the angel tribe, the head fighter at the time because she greatly needed to cover something up, her daughter who she would give birth to in months to come. when balere was born, everyone fell for the trick because of how much she appeared like her mother and sister. she fit right in, besides the powers she was able to wield. balere was the only one who knew of them, and tried to train her daughter to use the powers in secret, but forbid her to ever use it in front of anyone else, or out in the open. balere was never close to her fake father, even though her mother told her he was her biological father, she knew she was different and they didn't have anything in common. he was usually out fighting anyway, so this narrowed balere's interactions in her childhood down to her half-sister, trudel. trudel was always fighting adn quarraling with balere. they fought over who would be the better fighter, hunter, and even who was the prettiest. but the one topic that triggered trudel to hate on balere even more was who would become queen. she couldn't beleive balere would even question that. all trudel's life she knew she would be the queen, but balere wanted the position more. balere never thought of fighting as something honorable and earning respect like her sister, but rather wanted to rule so she could be in charge over people one day. she wanted to be accepted, and she wanted to prove how powerful she was. if only balere was allowed to practice her element on her sister, maybe then trudel would agree she should be next queen. balere and trudel both had one thing in common though. they knew their mother was growing too weak for the position of leader, she was not fit to rule at all and her decisions caused the qua tribe to accuse them while she ignored it all. 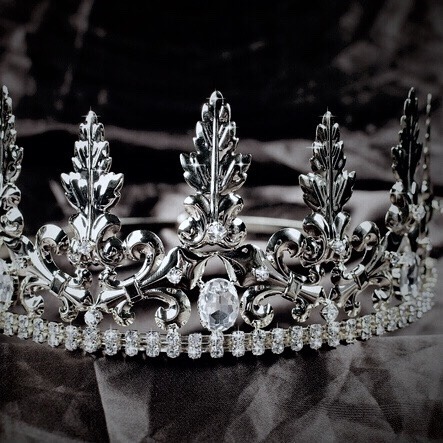 one day, balere approached her mother in the throneroom, requesting to be the following queen because she knew her mother understood the power she had. however, ittle did she know trudel was secretly watching. once queen valyn rejected balere's question, balere let her anger control her. this triggered her dark element, which trudel was observing. not long after, balere found trudel in the same situation. trudel was asking to become queen, but this time she challenged er mother to fight for the rank. they each vowed to use only one weapon, a dagger. her mother was obviously more experienced because of age and seemed to be winning the fight. however, trudel made the slightest slash on her mother with her dagger, causing her mother to collapse. the dagger was poisoned, and balere soon ran in quickly after and stood next to her mother in shock. even though she disagreed with her mother's choices, she still was the only one who accepted her for being herself. in utter disbeleif, balere had no will to yell or fight her sister and gave up, allowing her to take the position. however, her sister was not able to take the position in the tradiitonal way by the challenge, but rather by the modern way of the angels votes. they voted for the deputy, remiel to earn the rank instead of the heir princess. trudel was appointed deputy instead out of fairness, and she called out balere after her ceremony. she exposed her secret, and banished balere from the caelum kingdom, warning her if she stepped foot back in she would not be as merciful. balere was stripped from her royal title, and a spell cast on her, taking away her ability to call down the light to aid her. 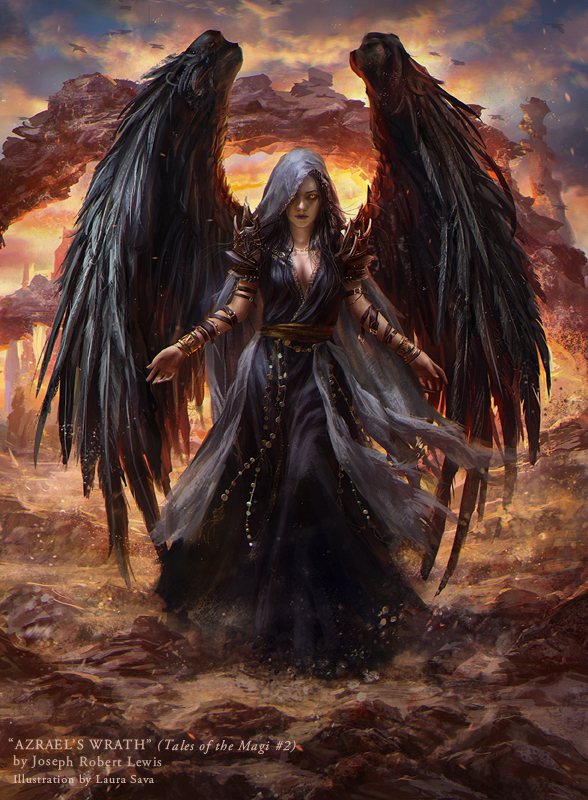 because of this, her wings slowly faded to black as she wandered the barren wastelands. balere survived with her dark magic, but was growing weaker. one day, she was found by another half-breed, with a group of other rogues mixed with outcasts, and half-breeds.this half-breed was half dragon, half elementalist. balere, not wanting to be attacked because of her name, changed it to ebony. the leader took her under his wing, and trained her to wield her elemental powers correctly, causing her to become stronger. over the years of growing up with this small group, they became her family. sadly, one day a patrol of dragons found the leader half-breed dragon, killing him and half the group. balere was filled with so many emotions, and could not hold back anymore. with the help of the other rogues in her group, they killed the dragons. this was ebony's first taste of victory, and she wanted more of it. ebony worked to create a group where half-breeds were safe to stay, but they had to pledge their loyalty. other outcasts were welcome too, anyone who wanted to get revenge on the tribes for treating them so horribly. weapons. 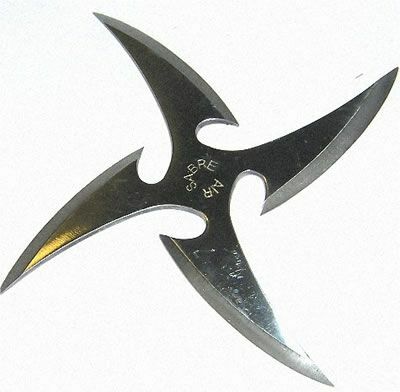 Ebony usually uses her dark powers, but her throwing daggers are a favourite as well. 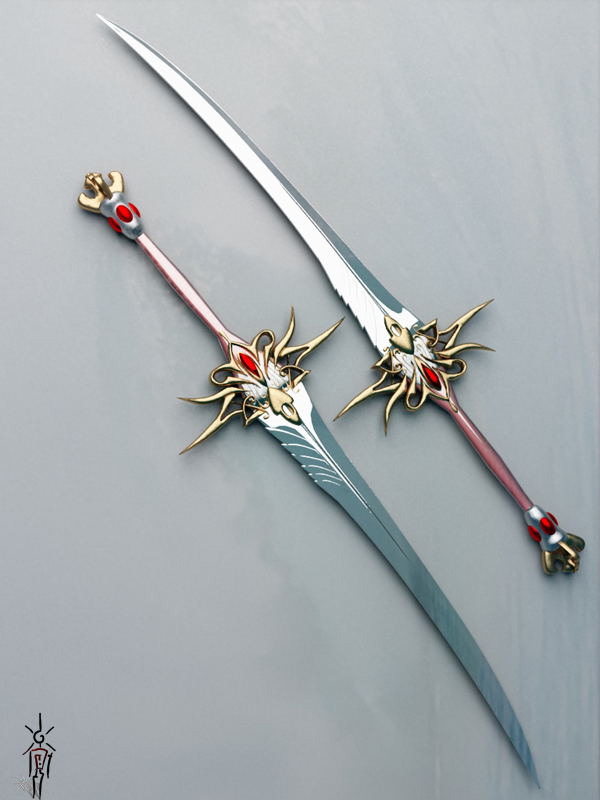 For up-close combat, she uses a silver, sharp sword, stolen from the Angel's valuable riches.